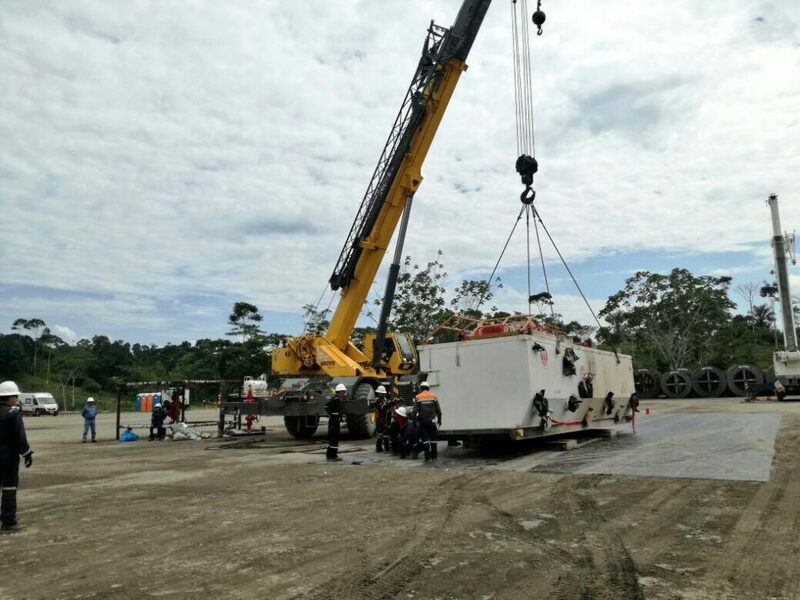 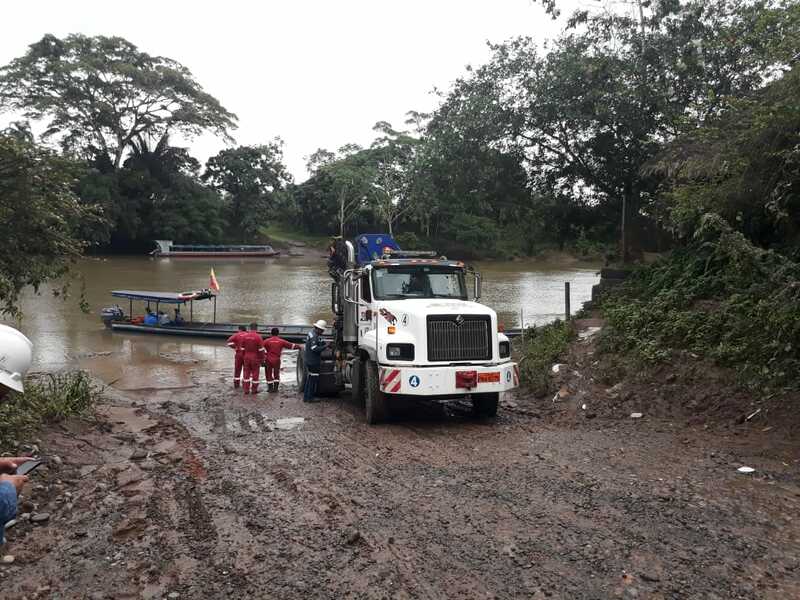 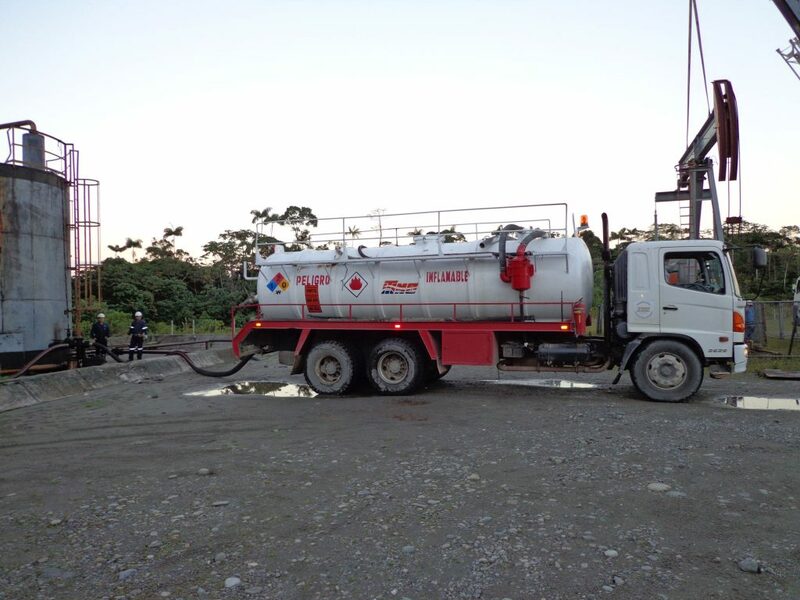 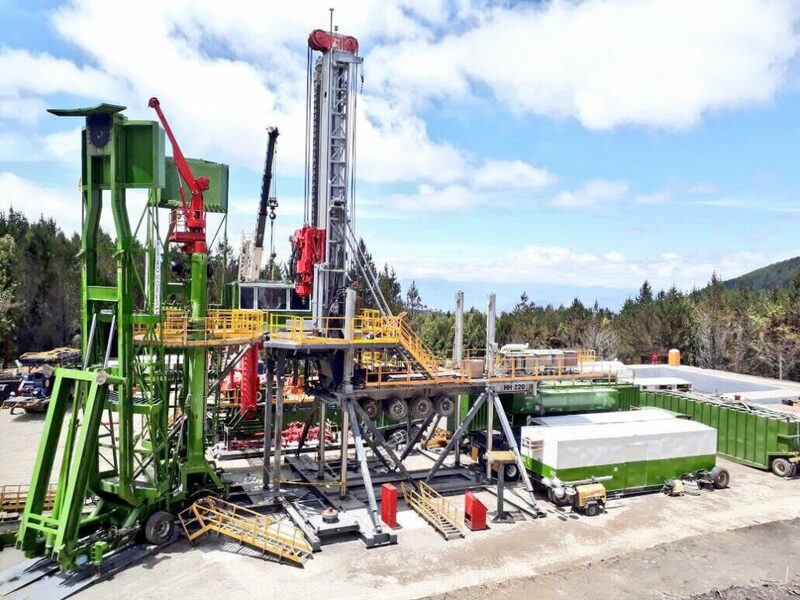 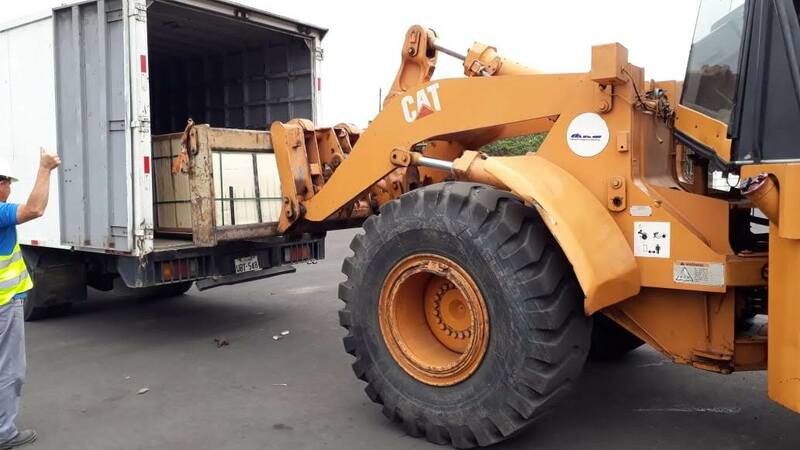 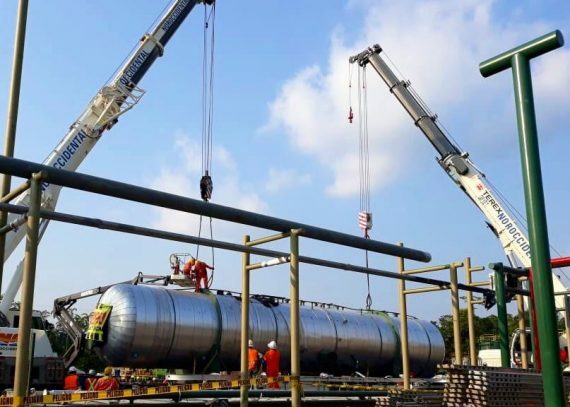 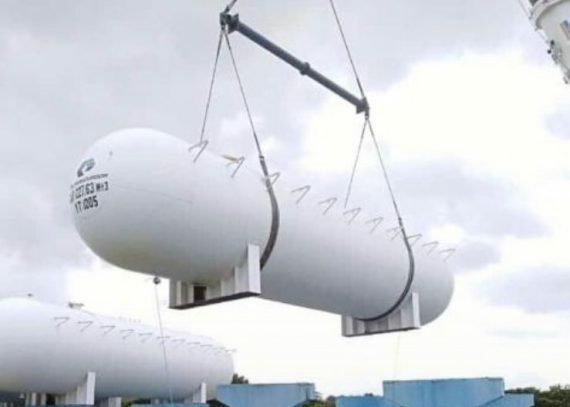 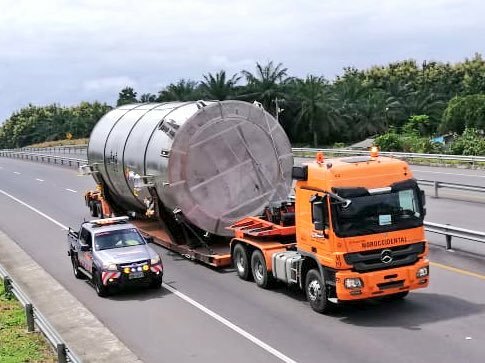 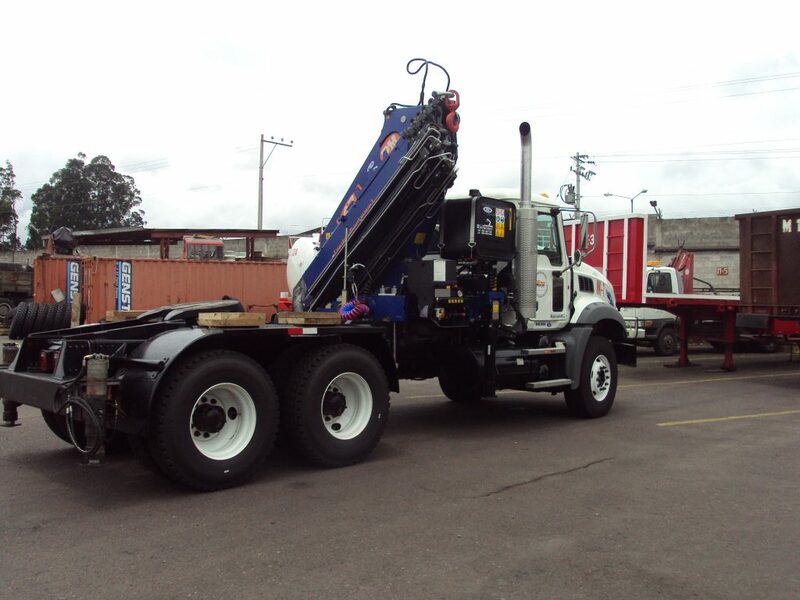 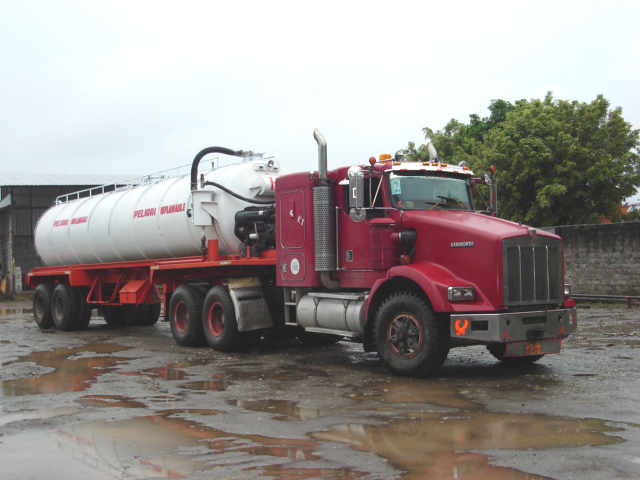 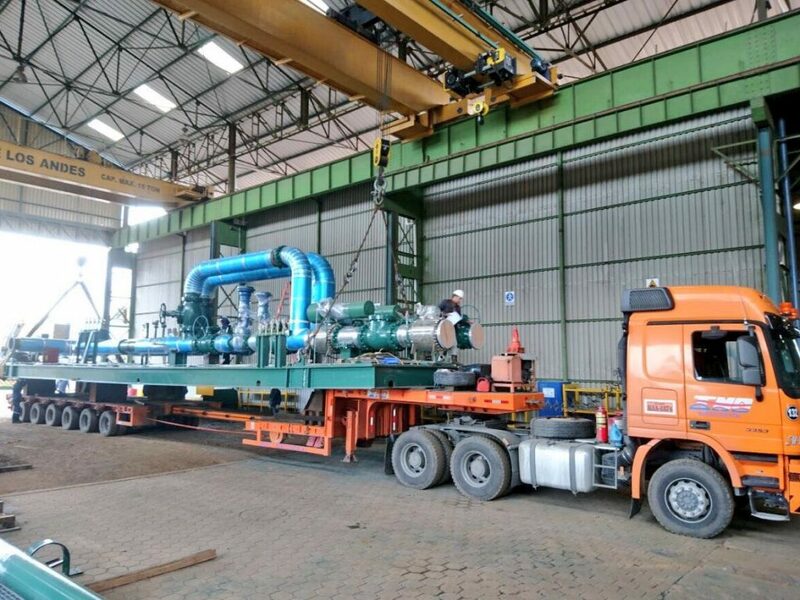 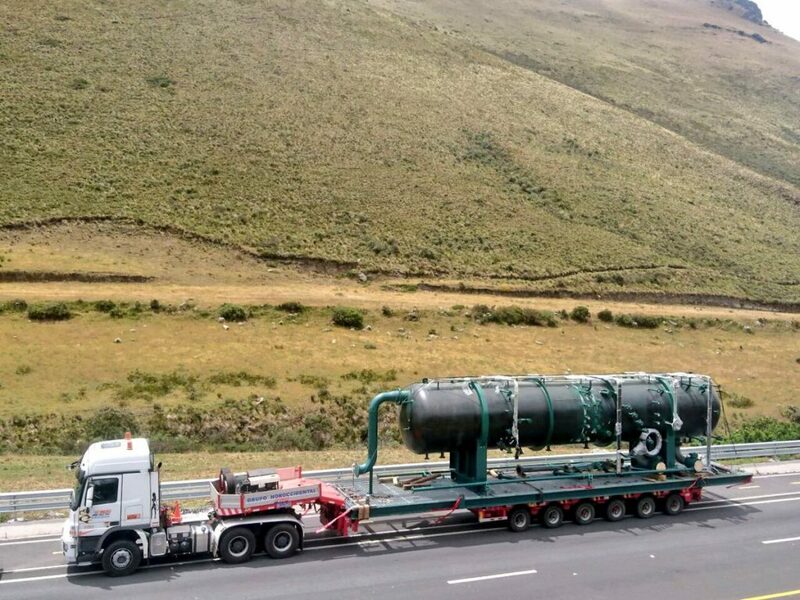 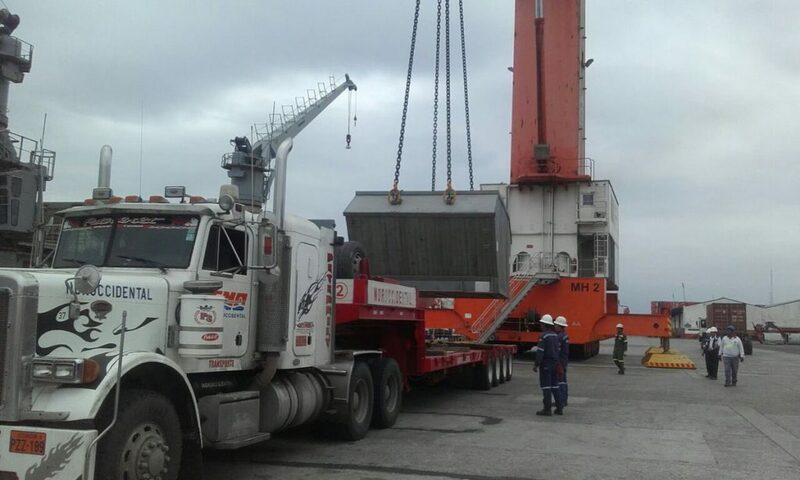 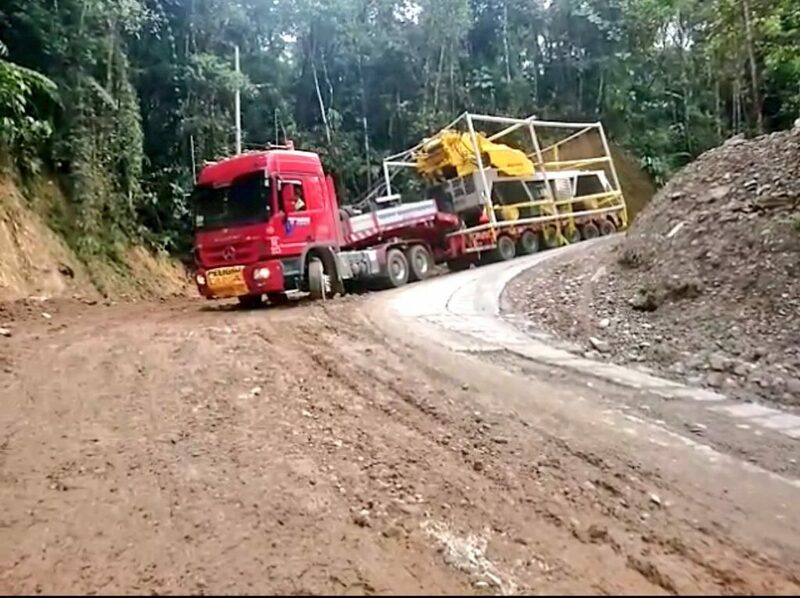 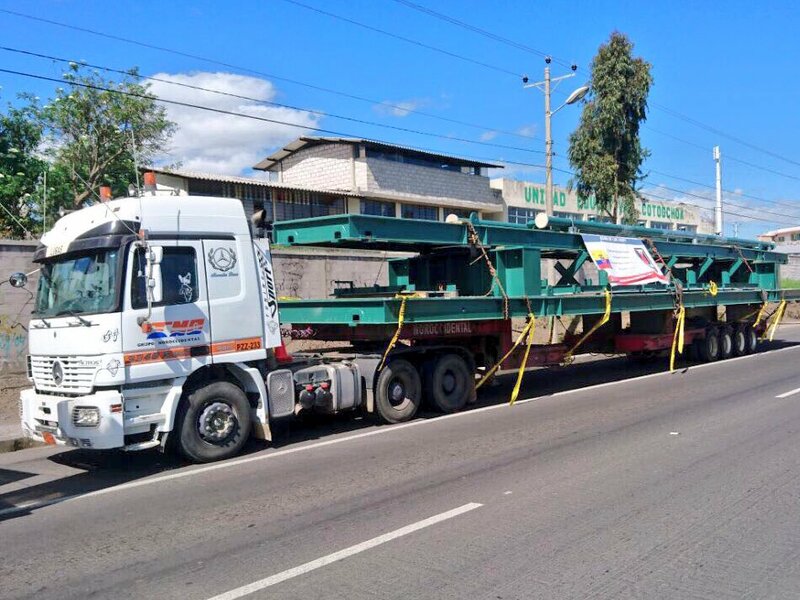 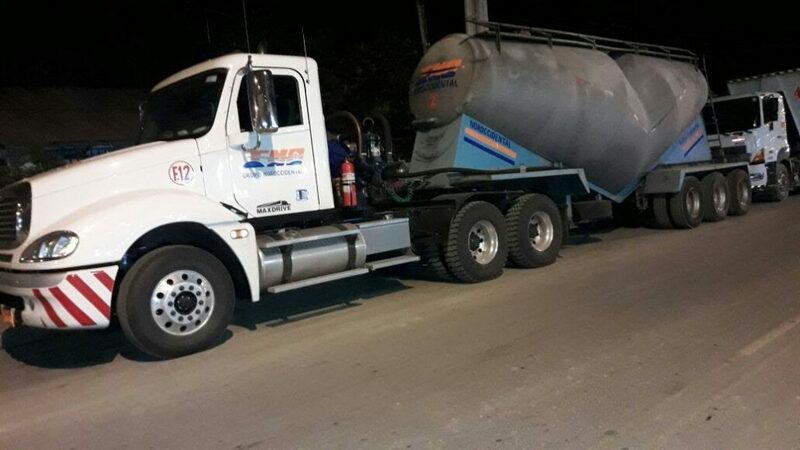 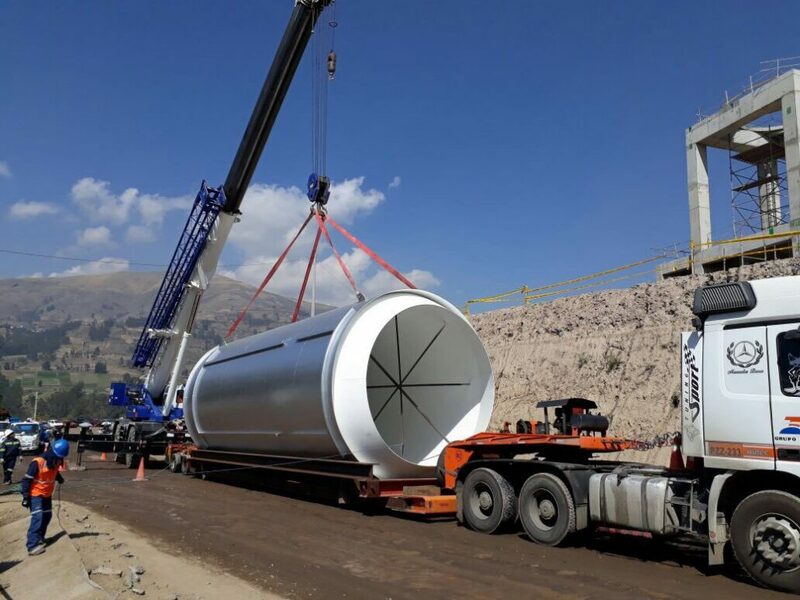 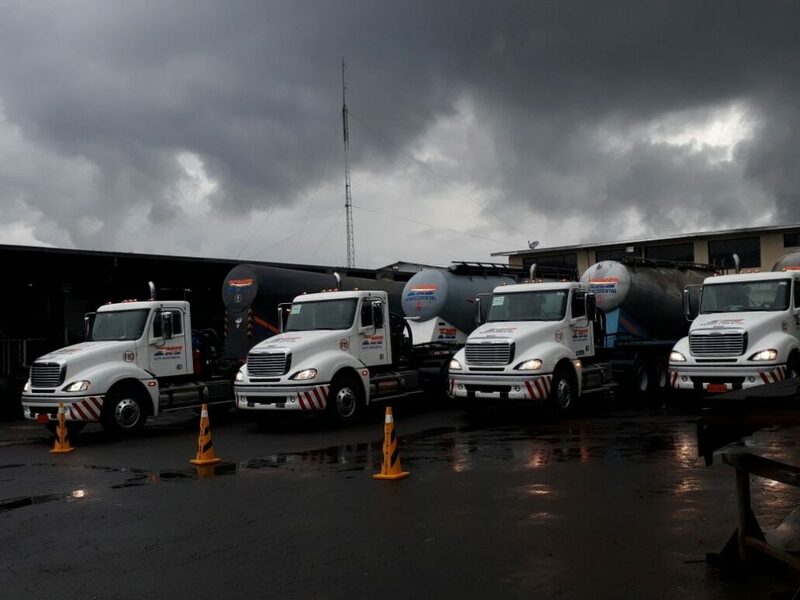 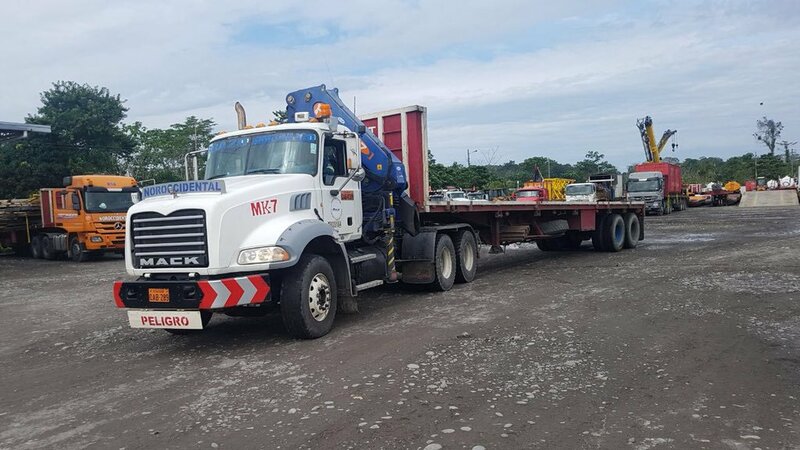 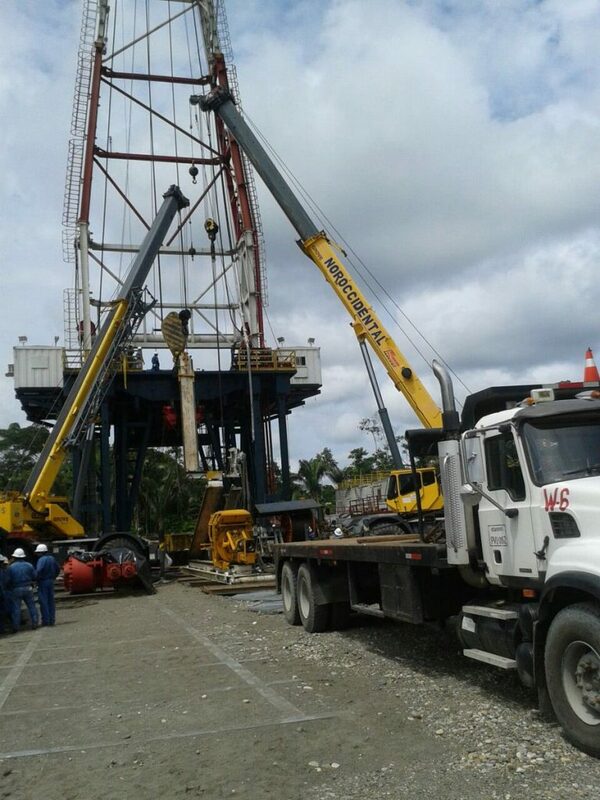 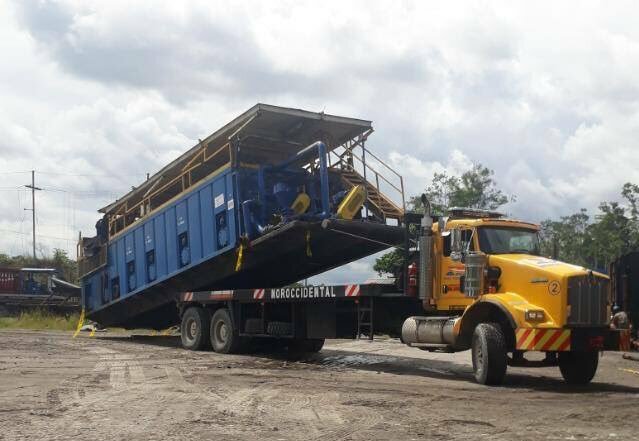 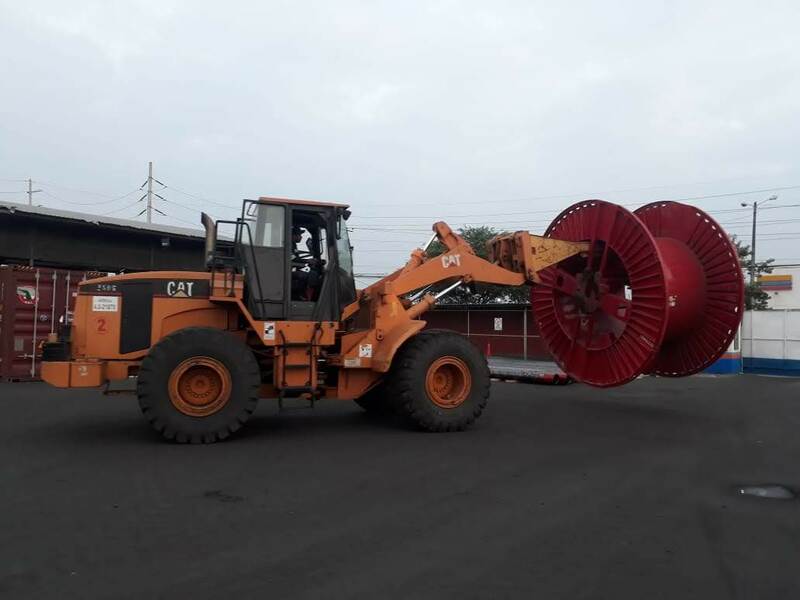 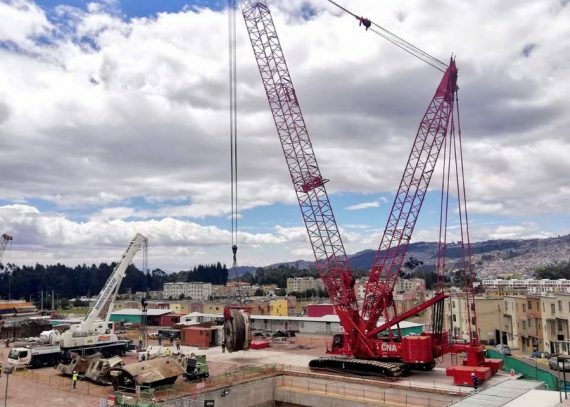 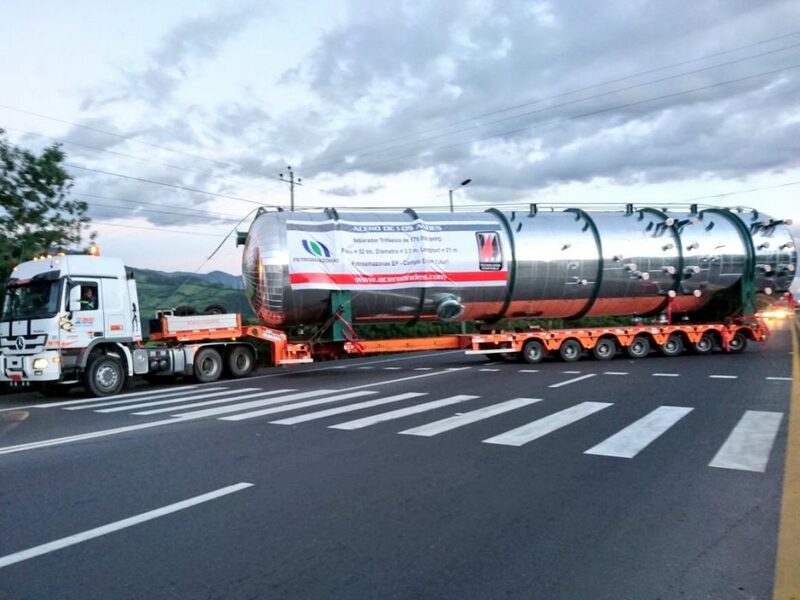 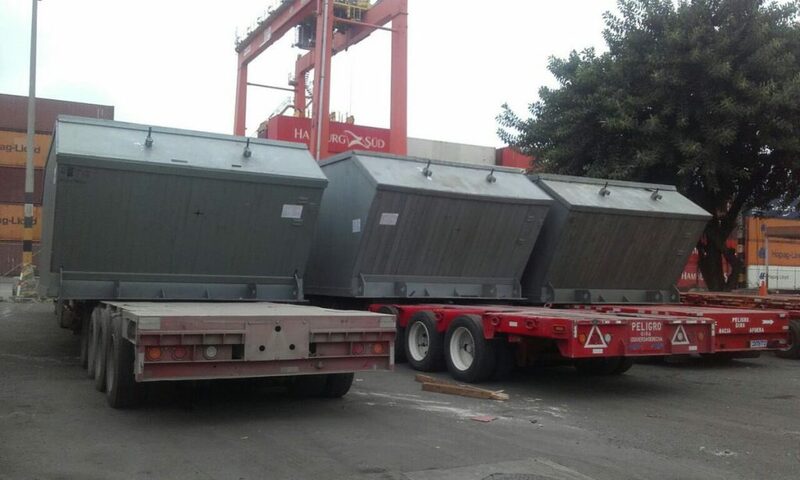 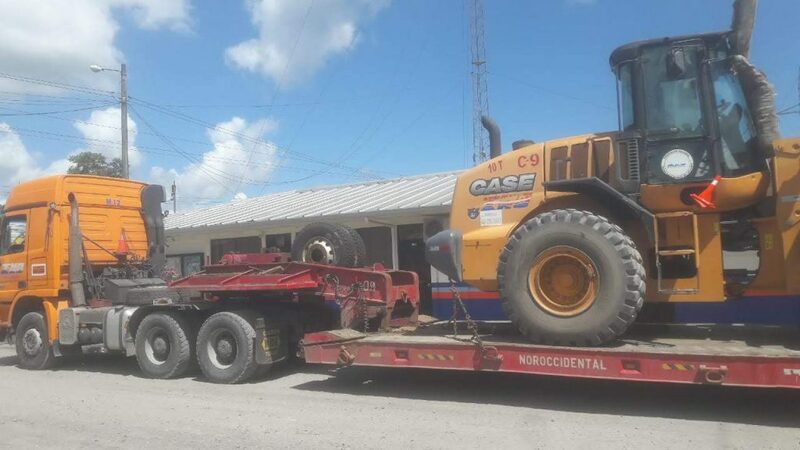 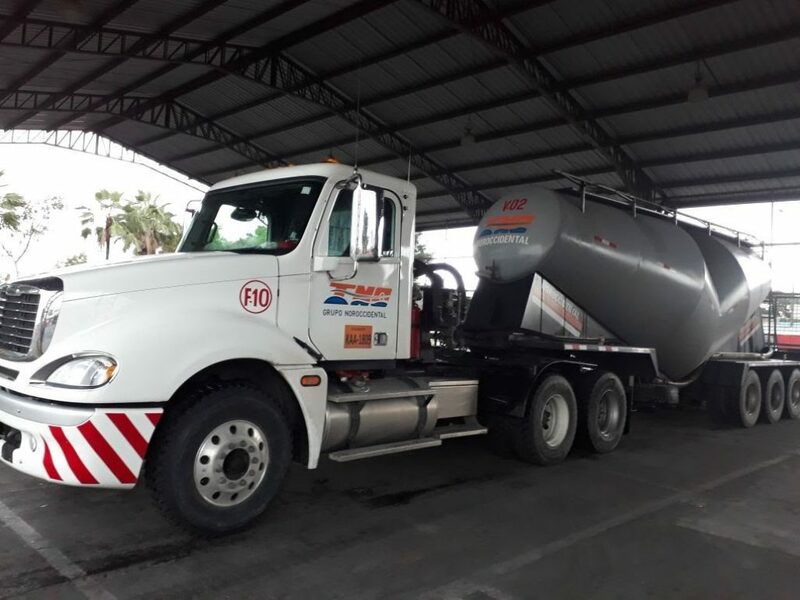 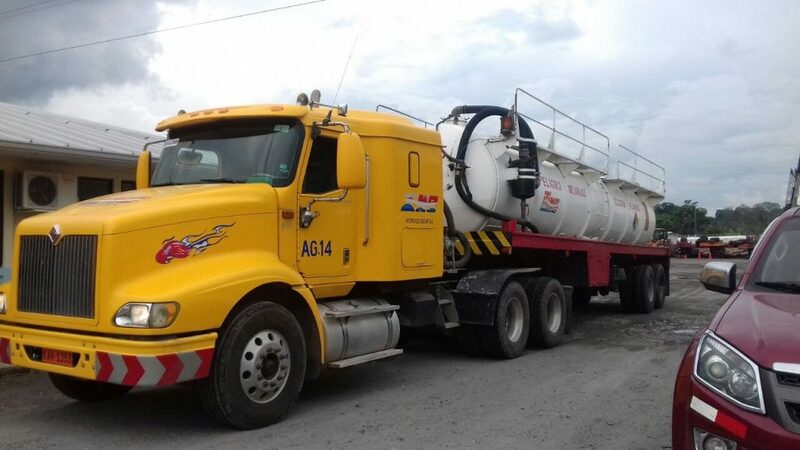 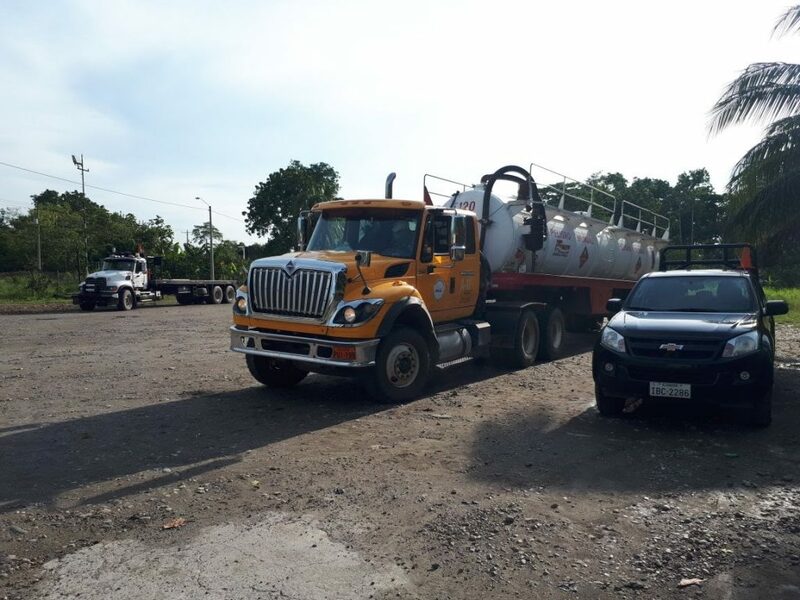 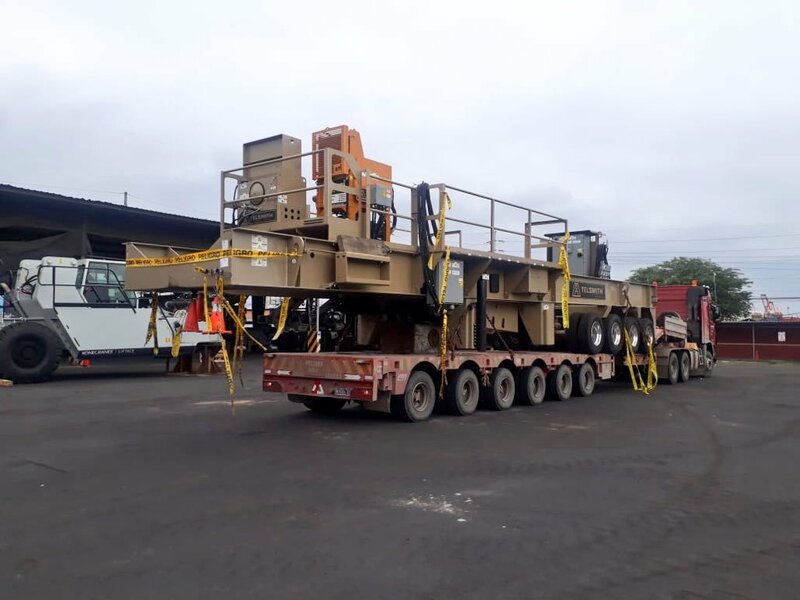 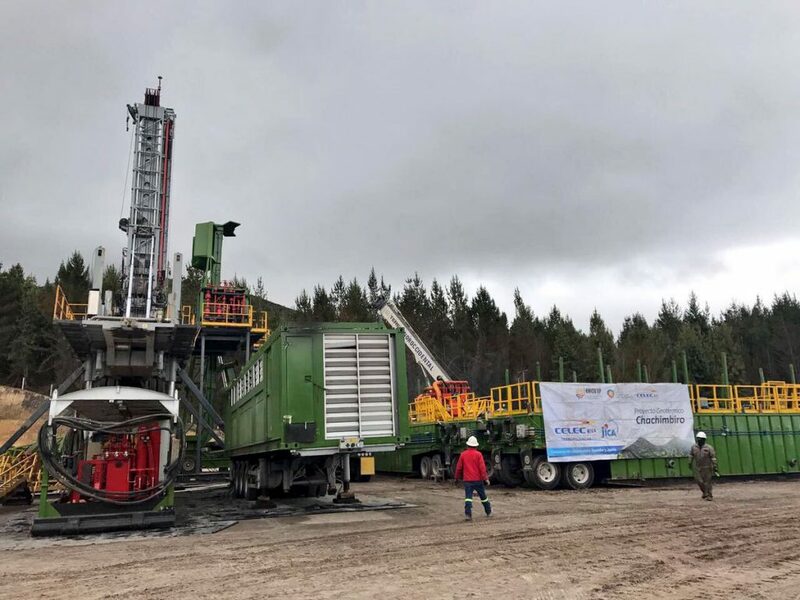 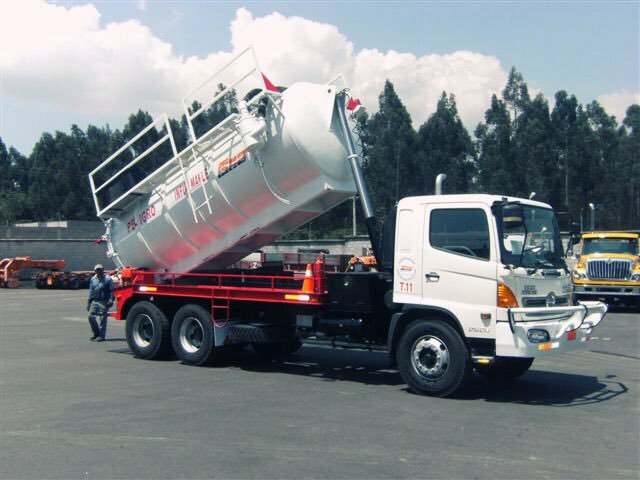 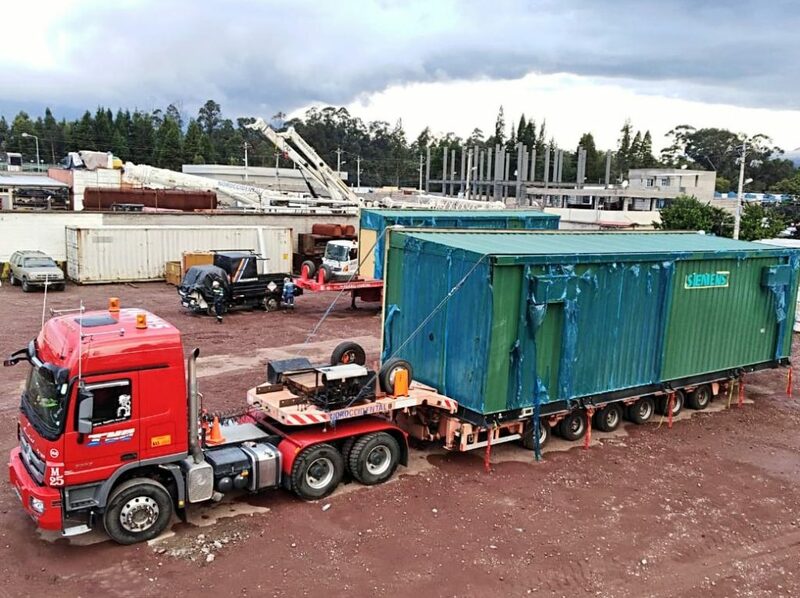 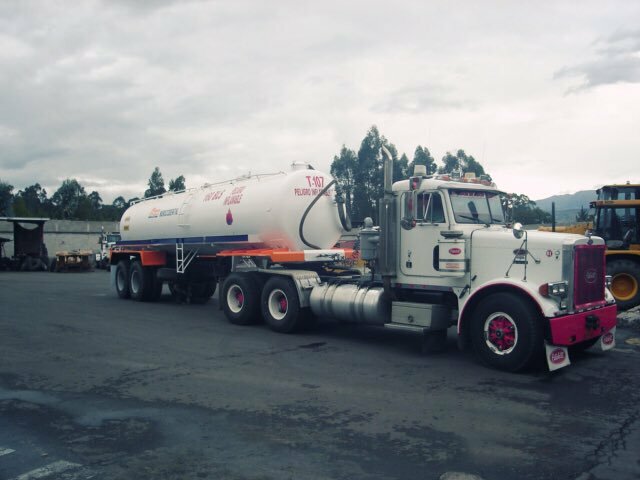 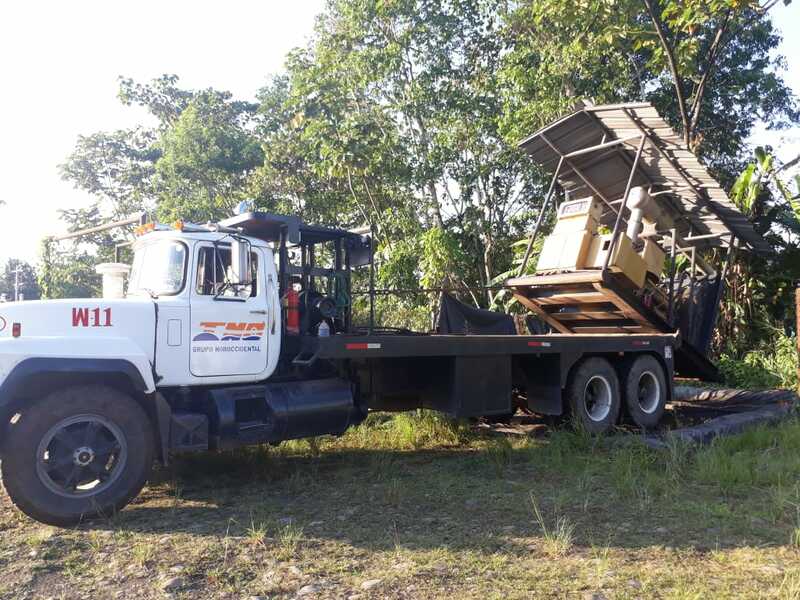 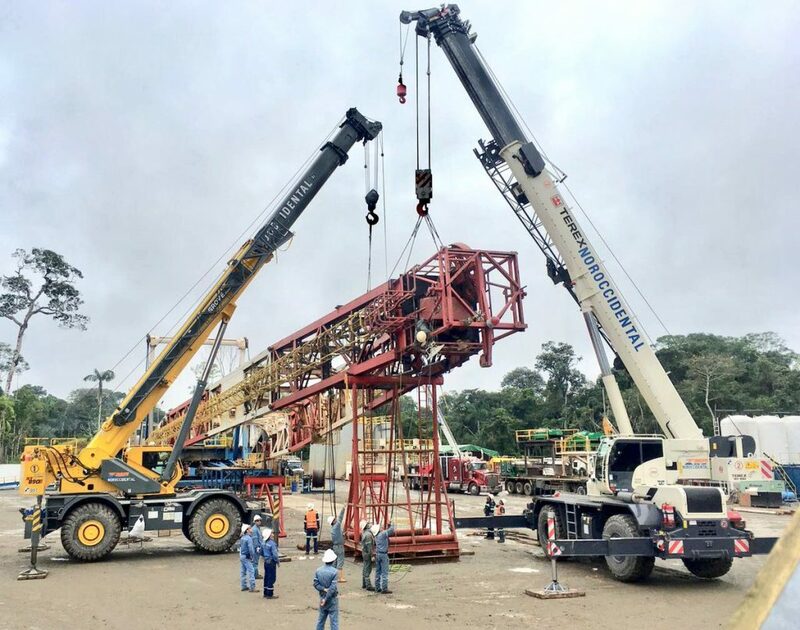 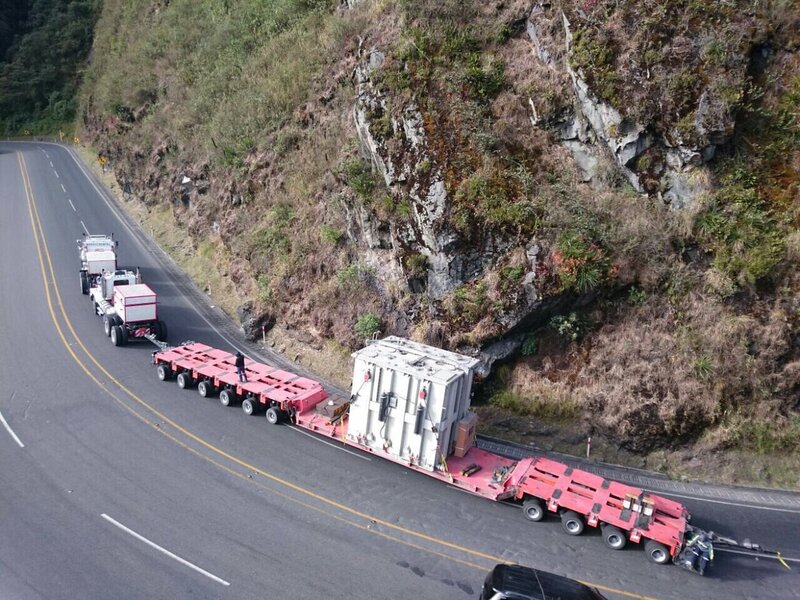 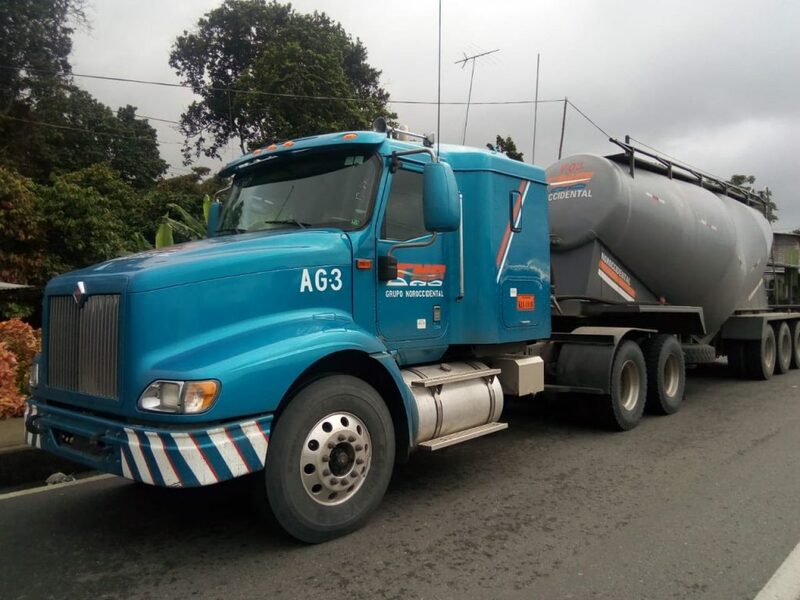 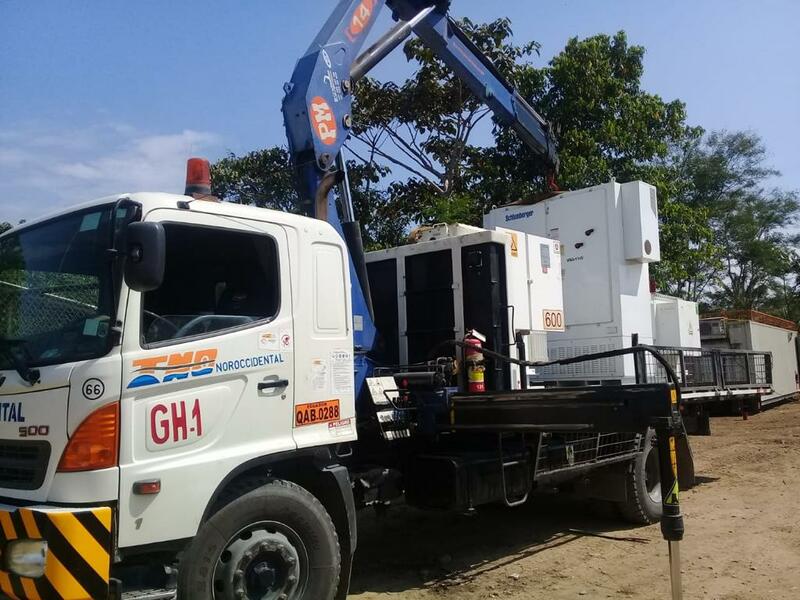 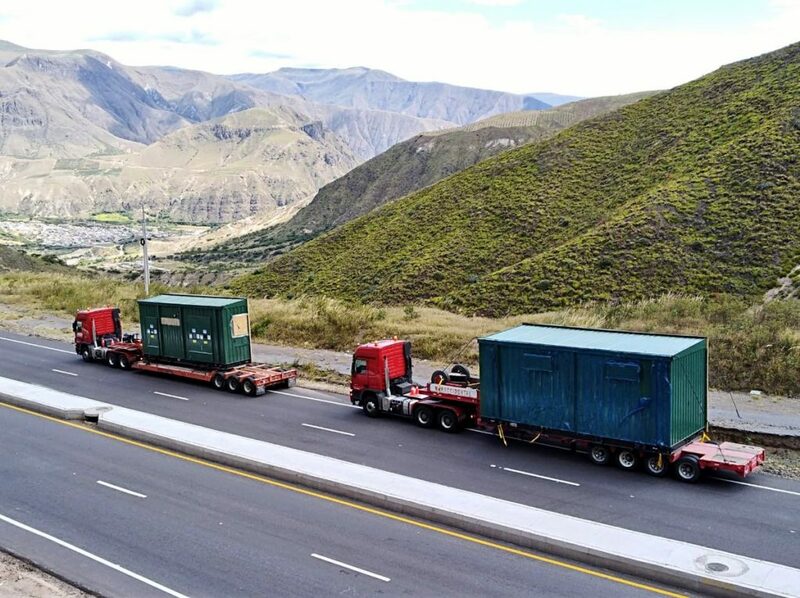 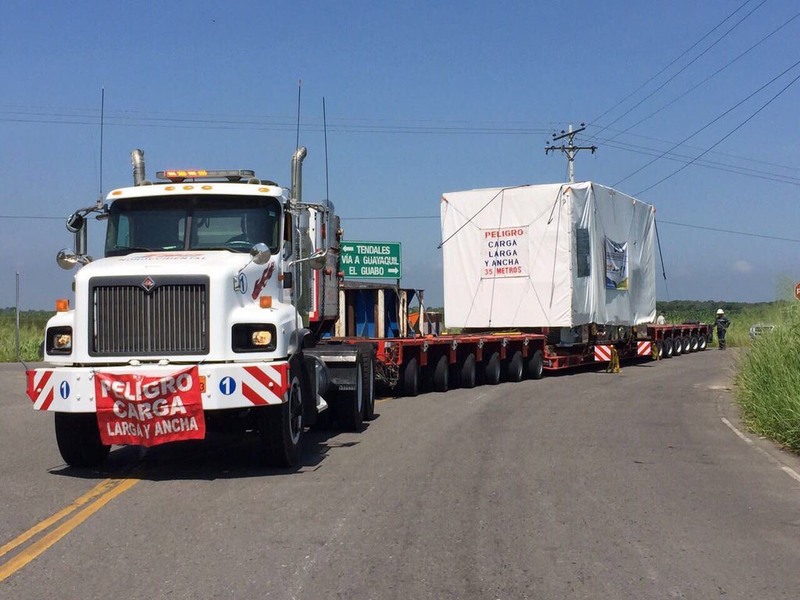 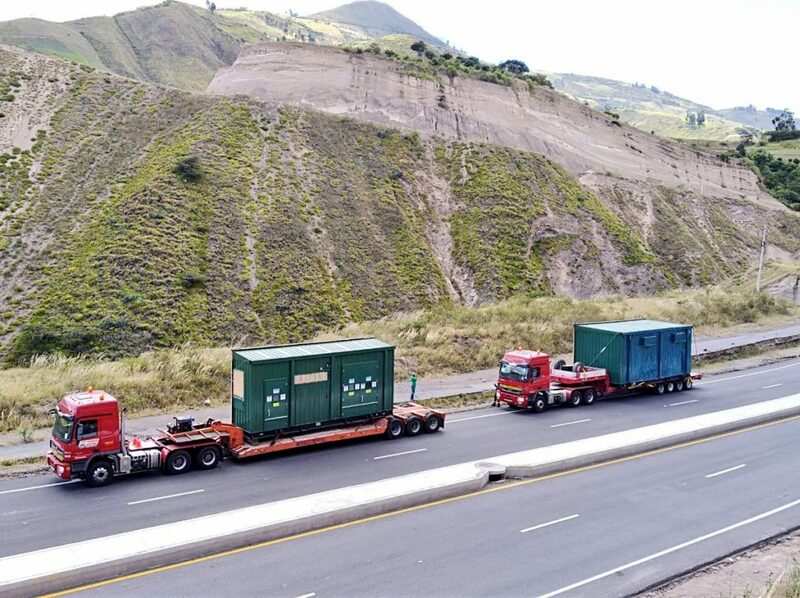 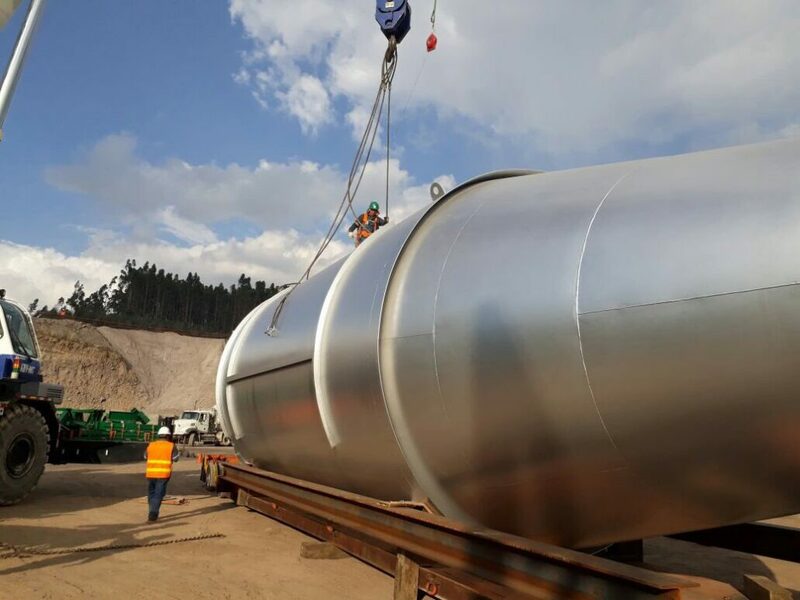 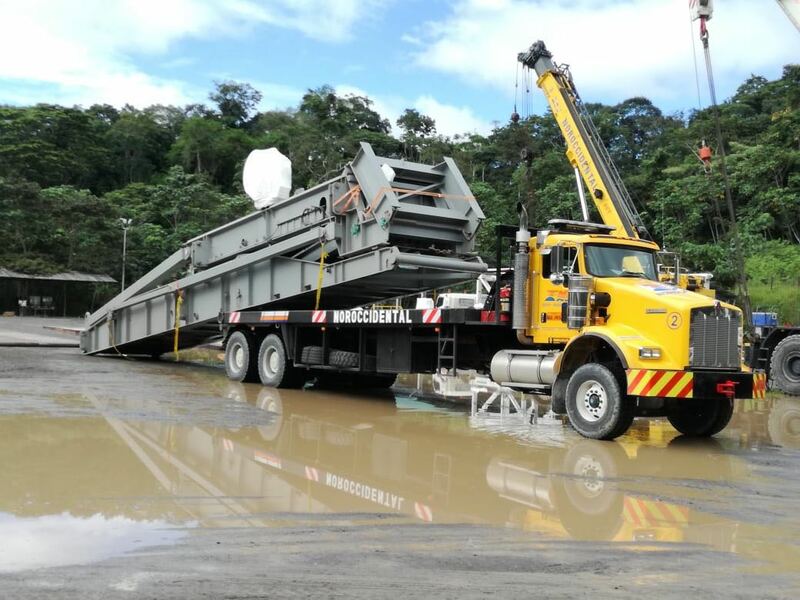 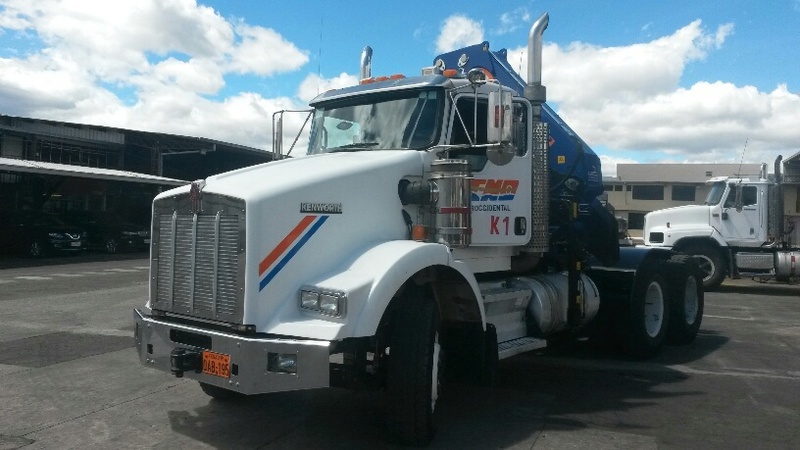 Noroccidental Group – Ecuatorian company, lead the market of heavy and extra heavy loads´ transport, fluids suction and transport, lifting machinery rental and specialized assemblies. 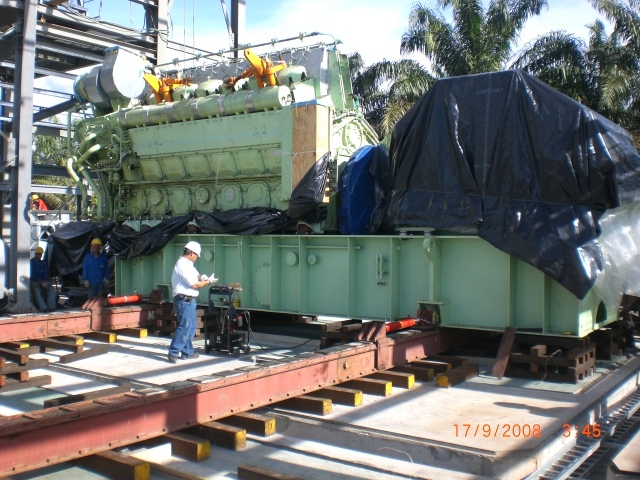 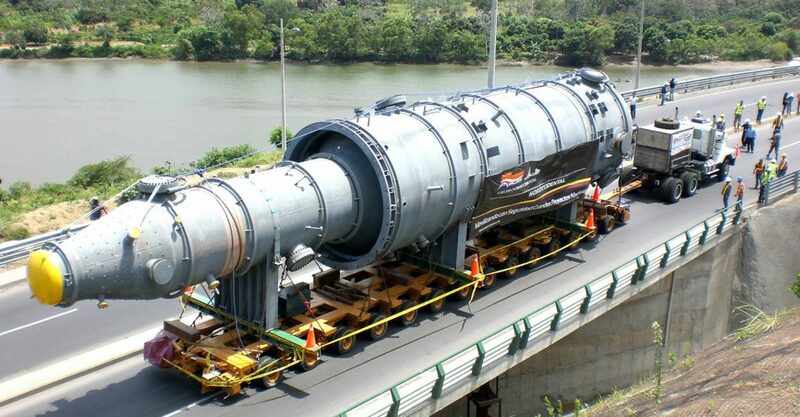 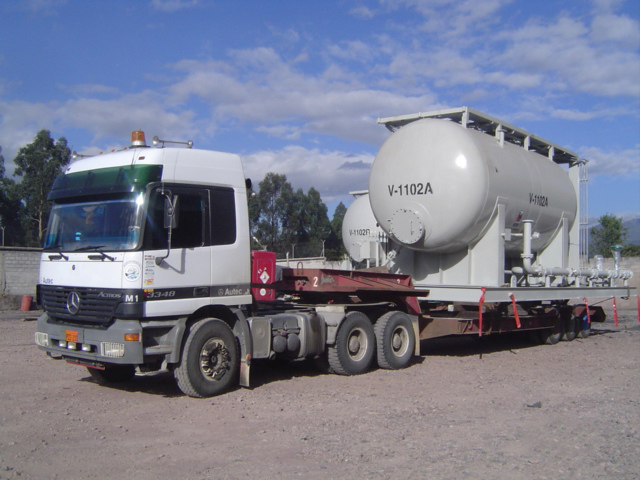 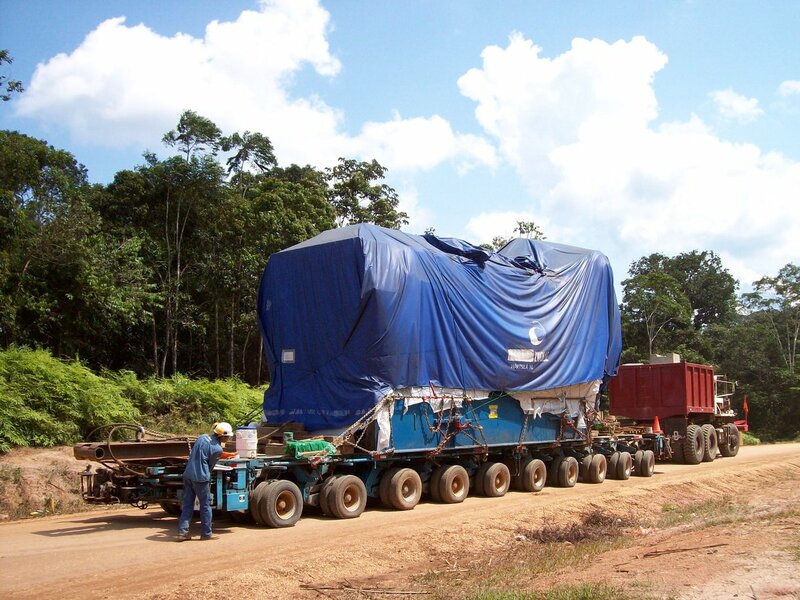 We have expertise in transport engineering and Logistic Projects Packages for oil, energy and industrial sectors. 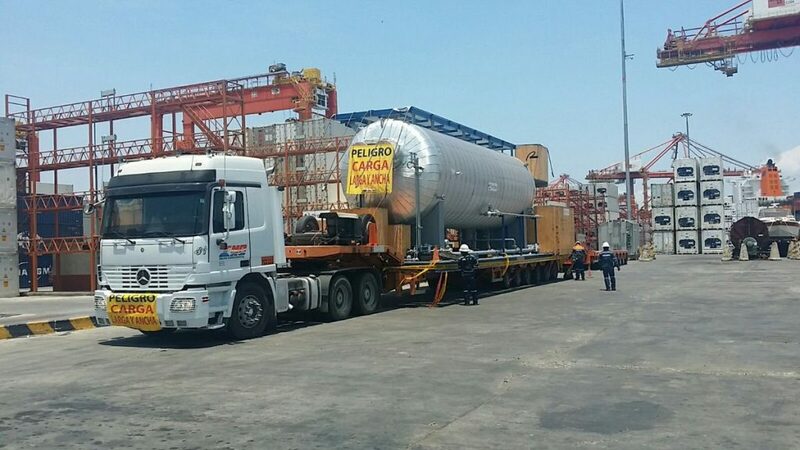 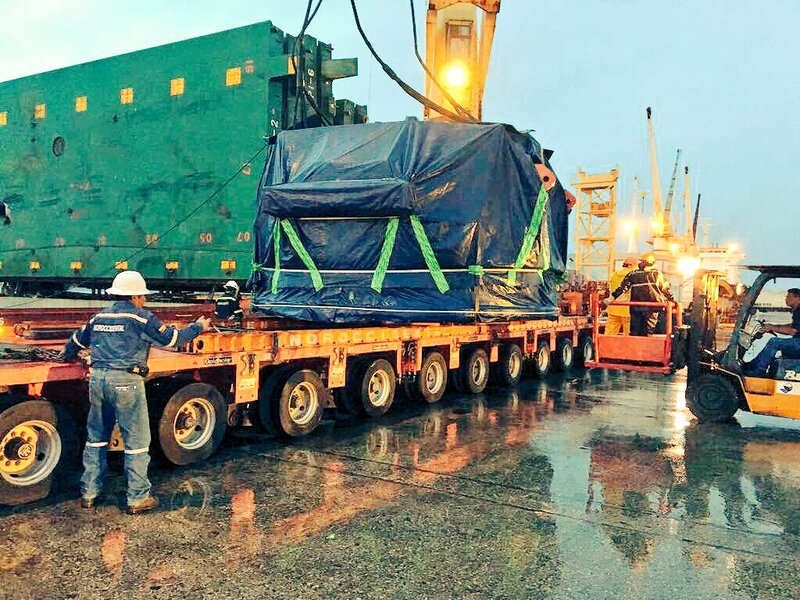 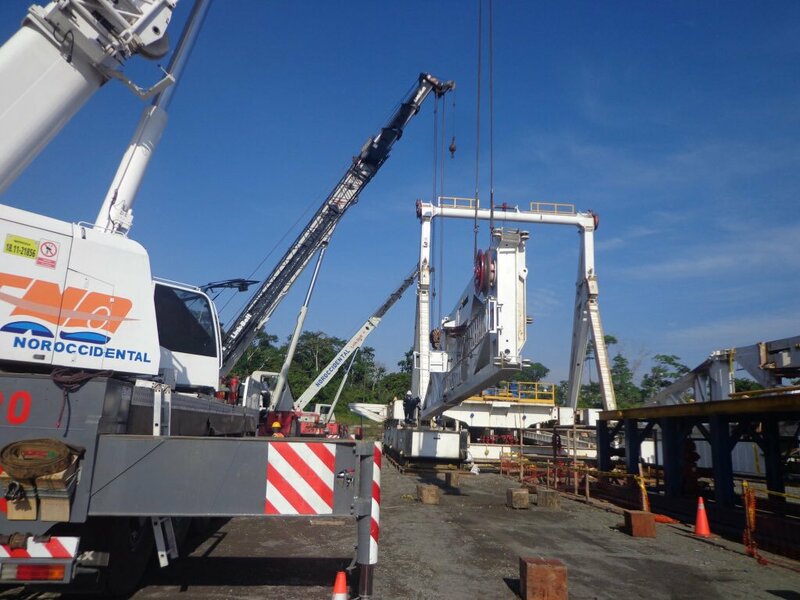 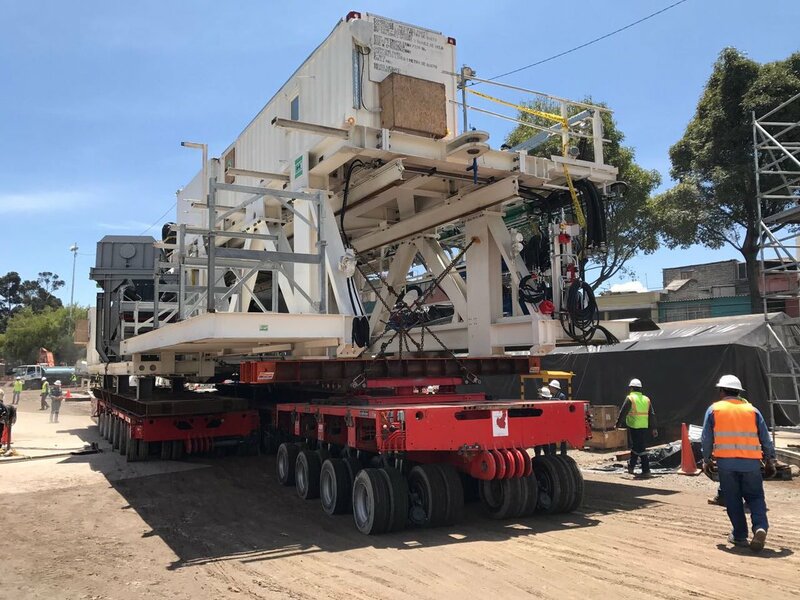 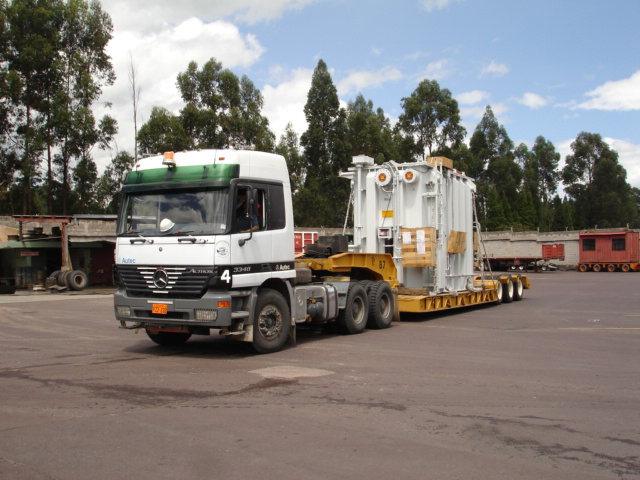 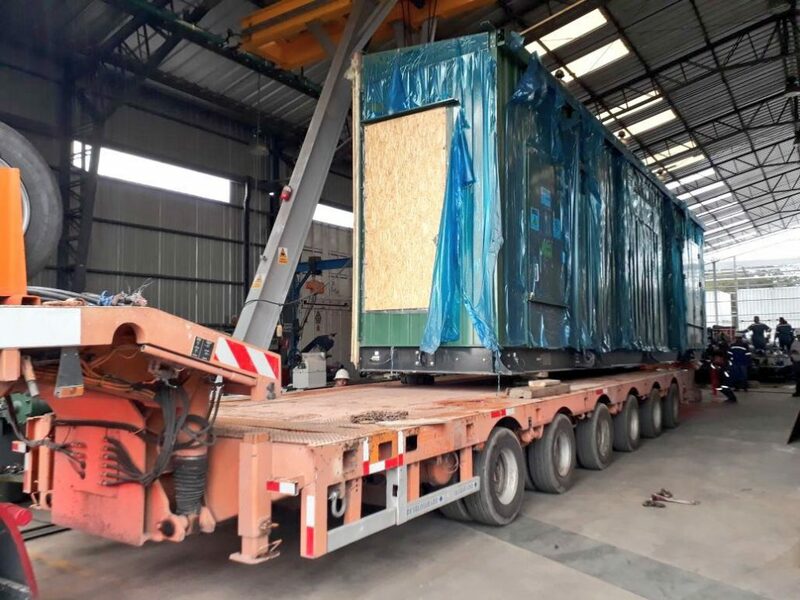 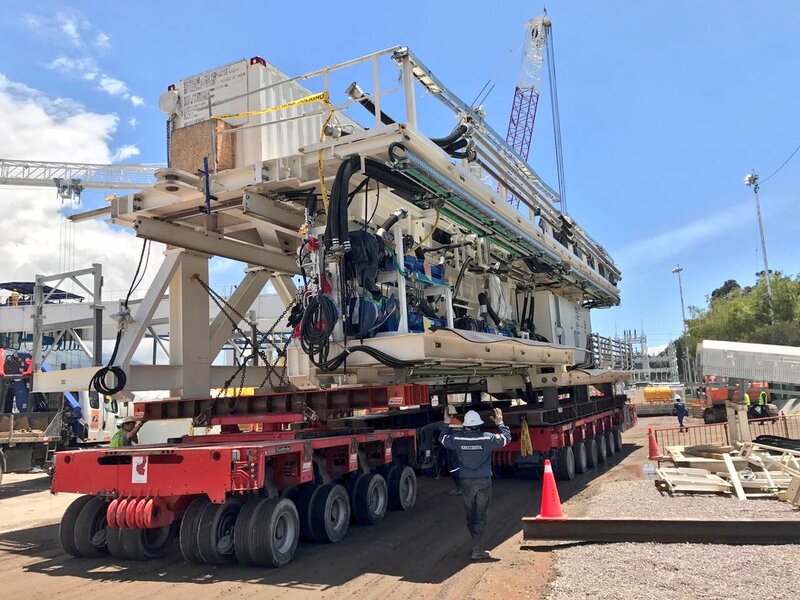 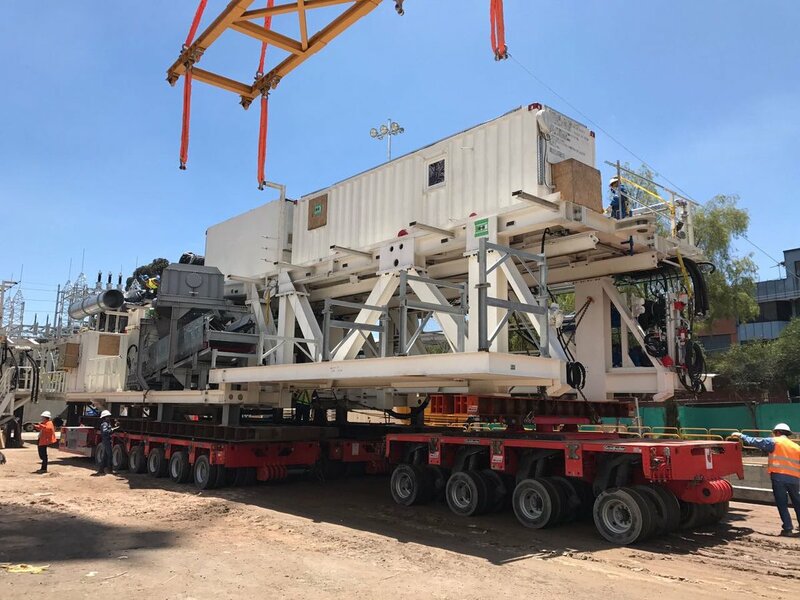 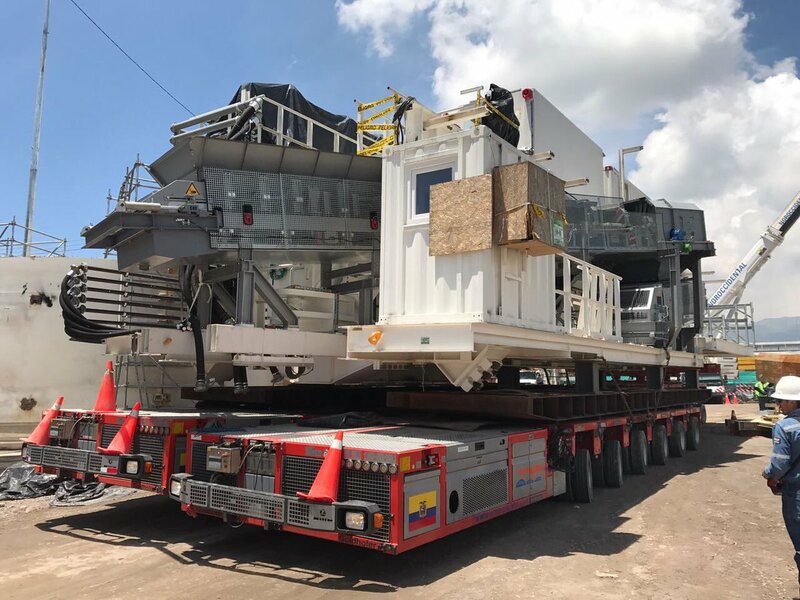 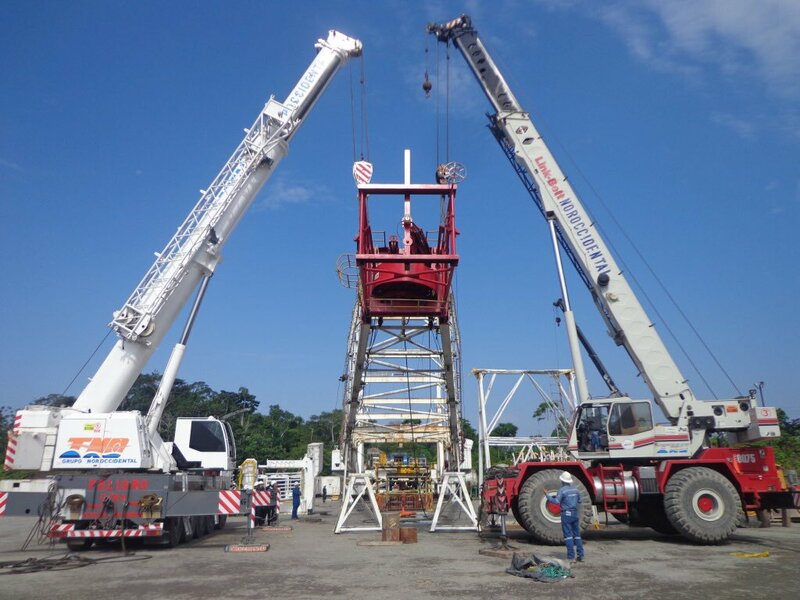 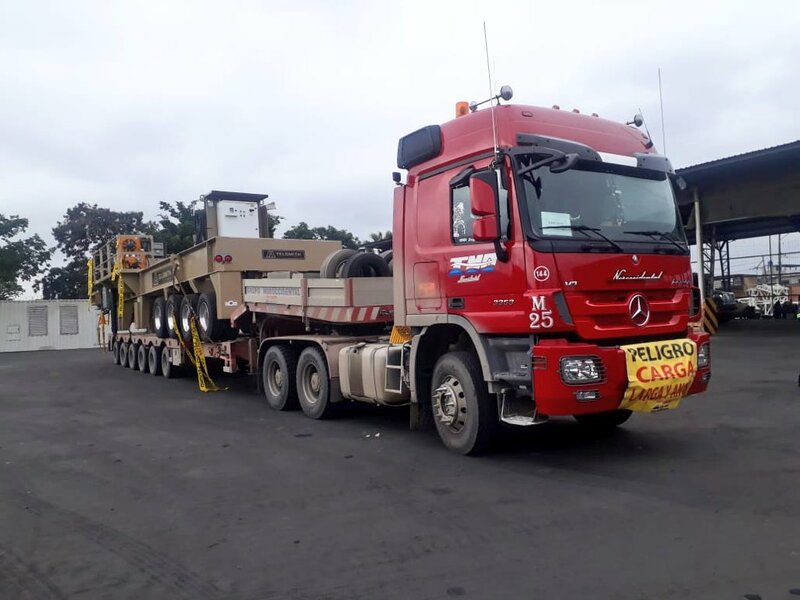 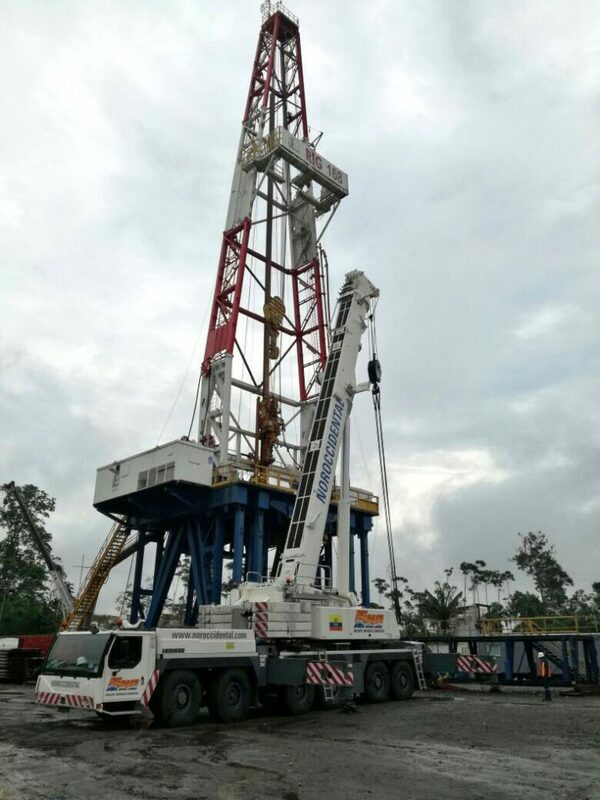 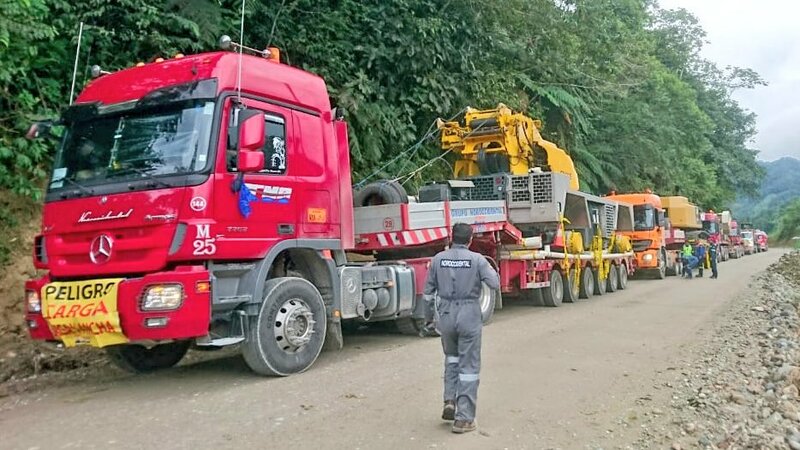 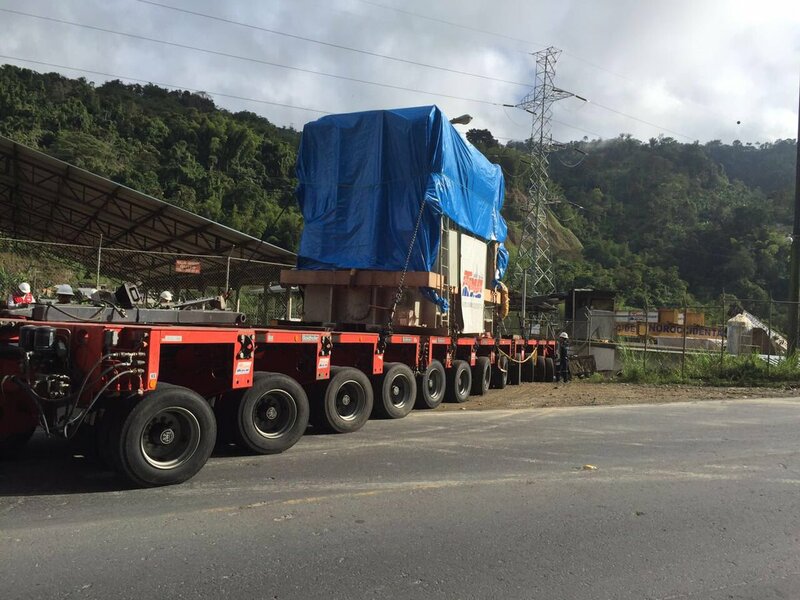 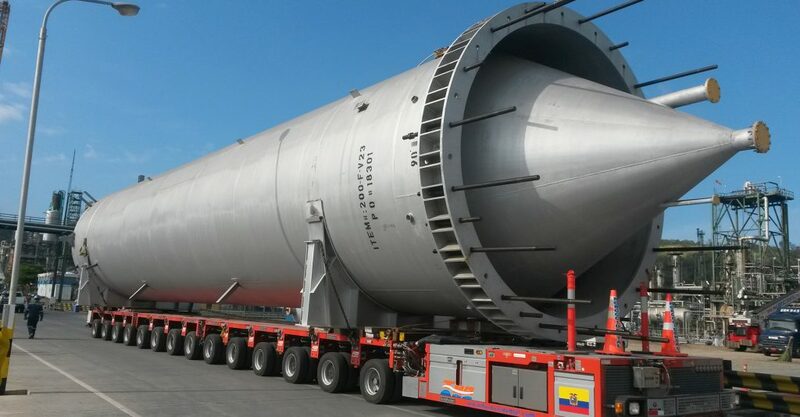 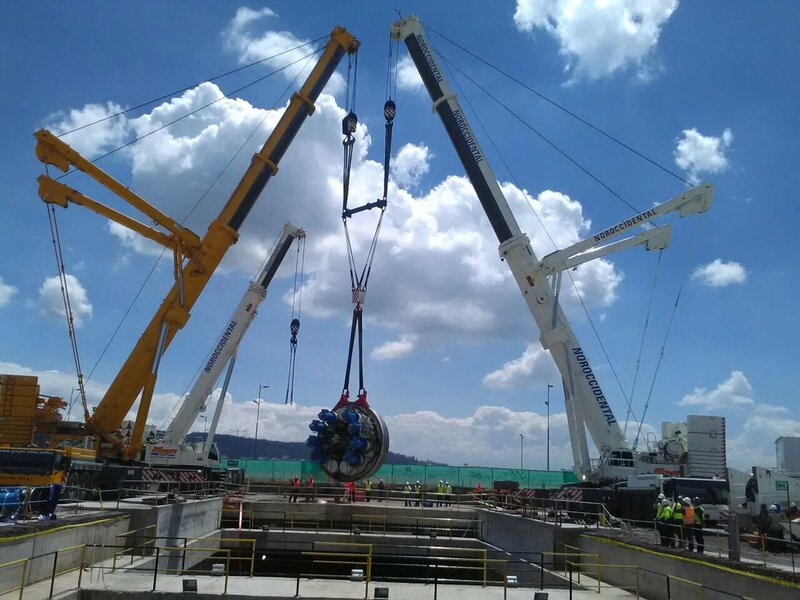 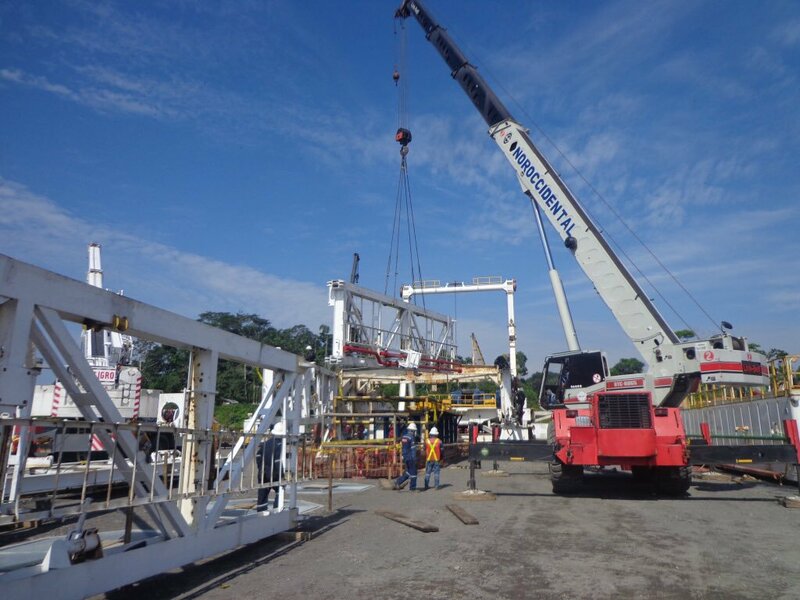 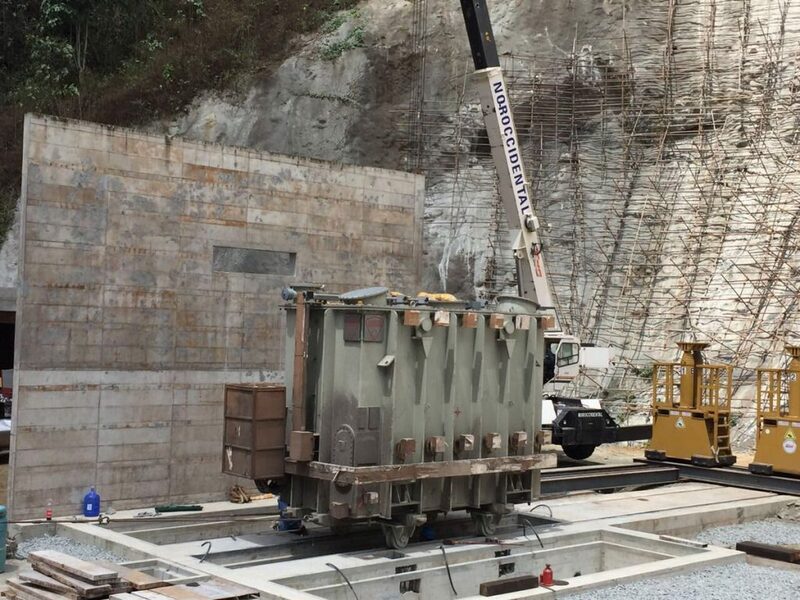 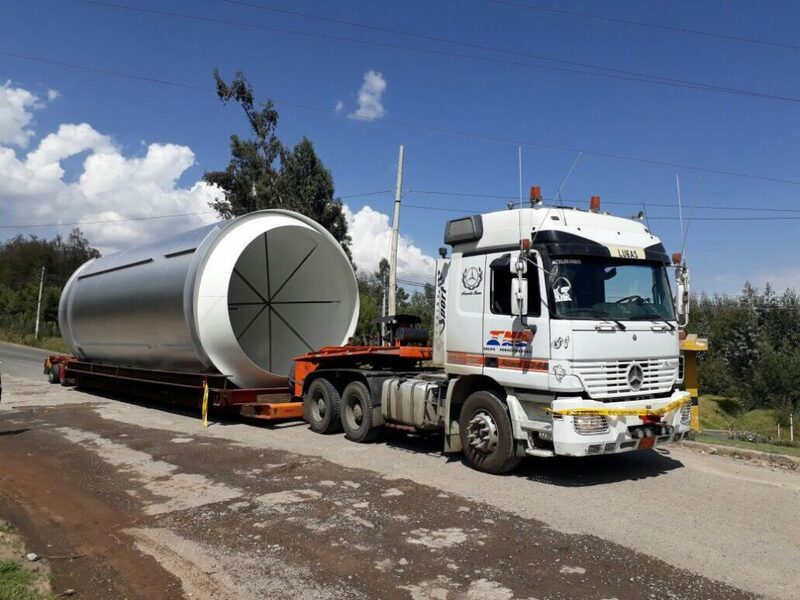 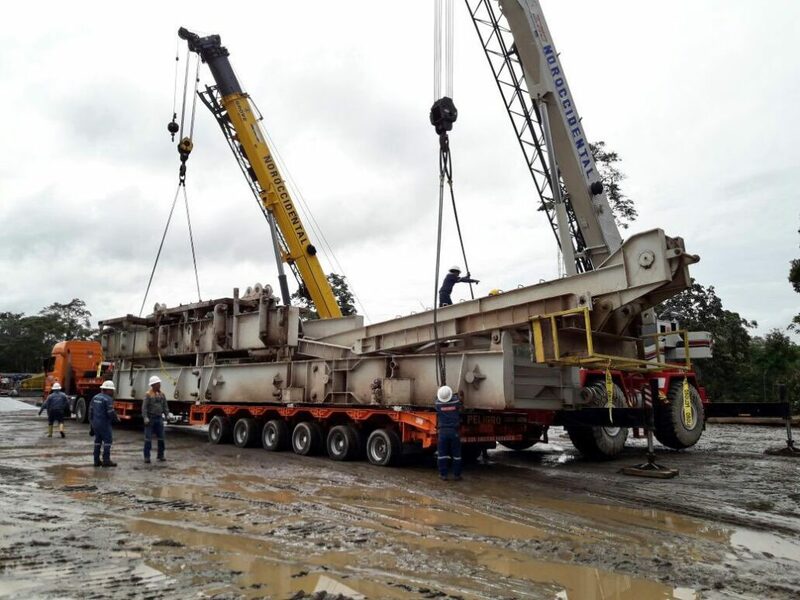 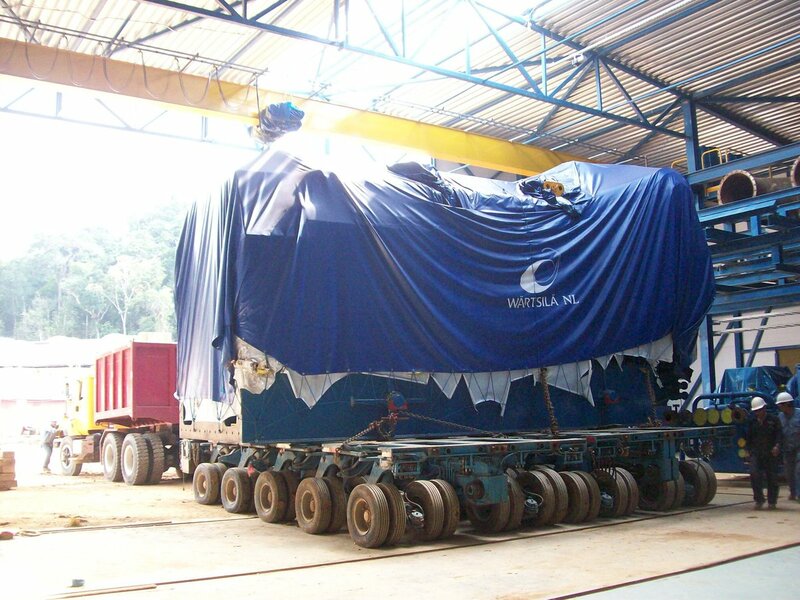 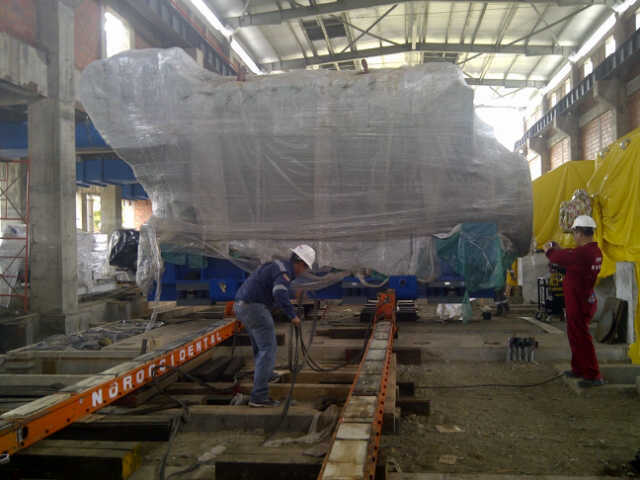 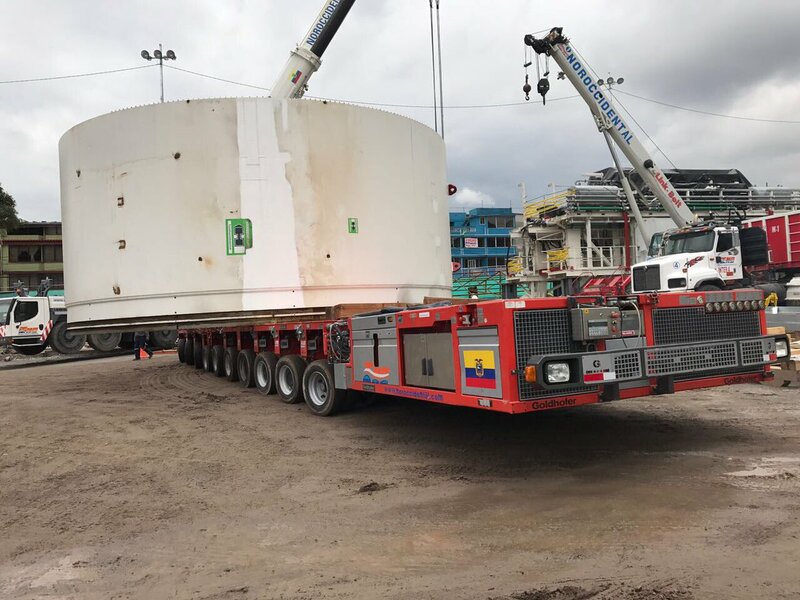 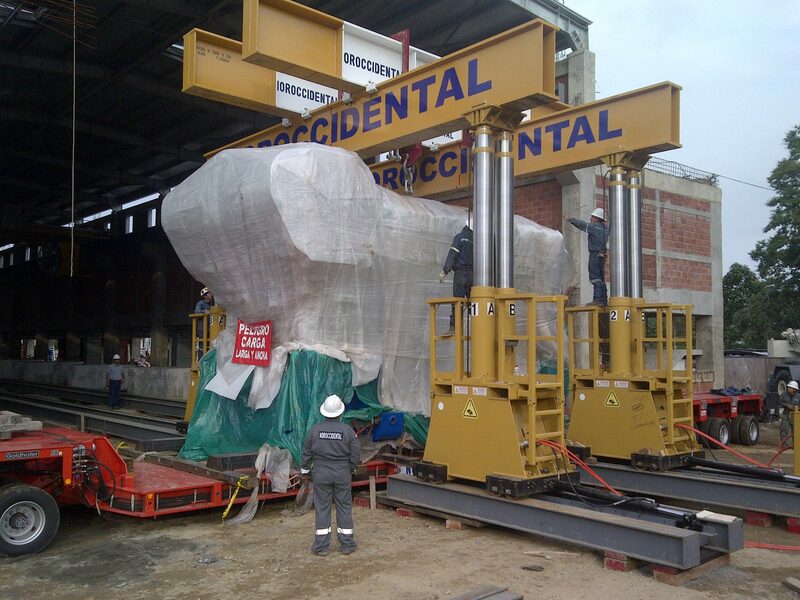 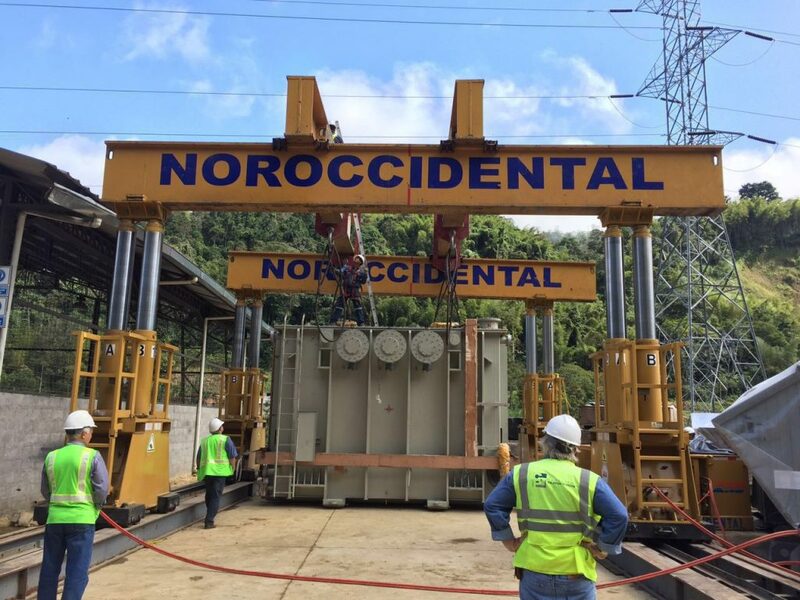 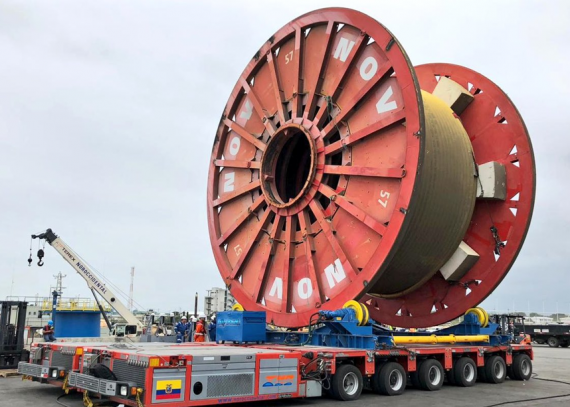 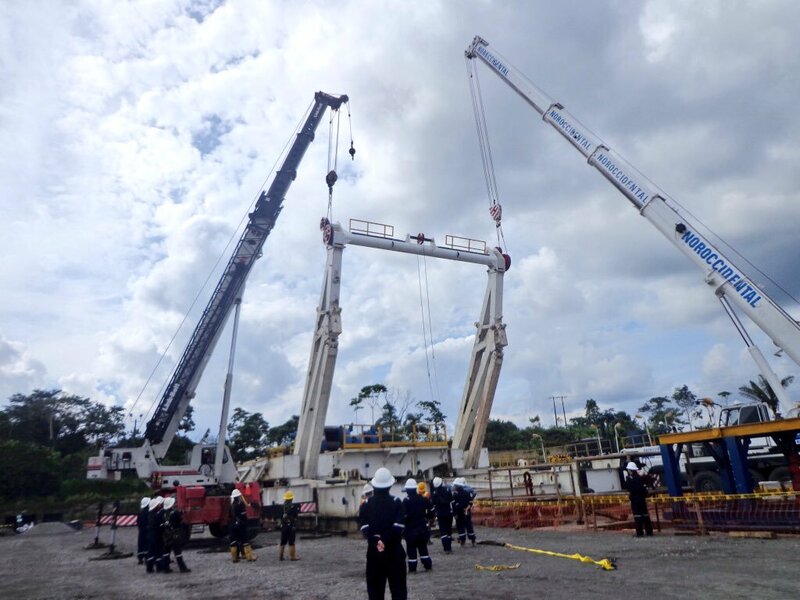 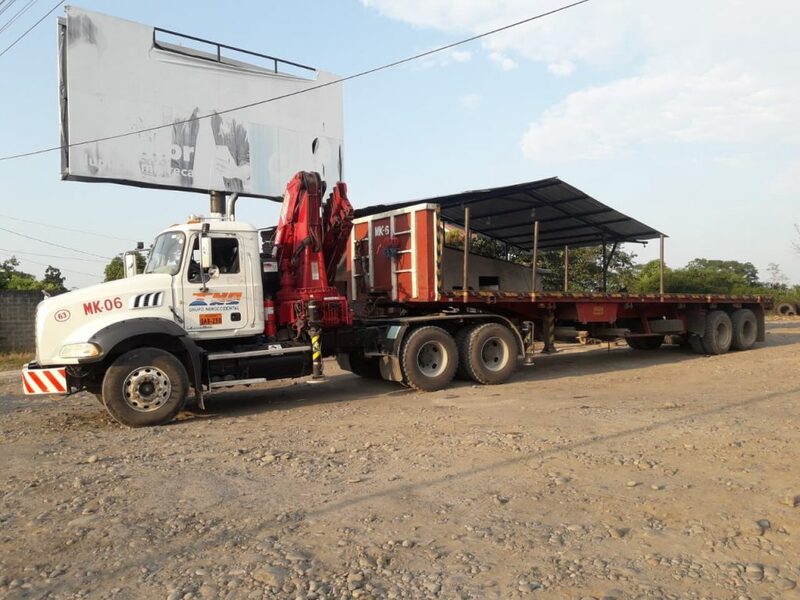 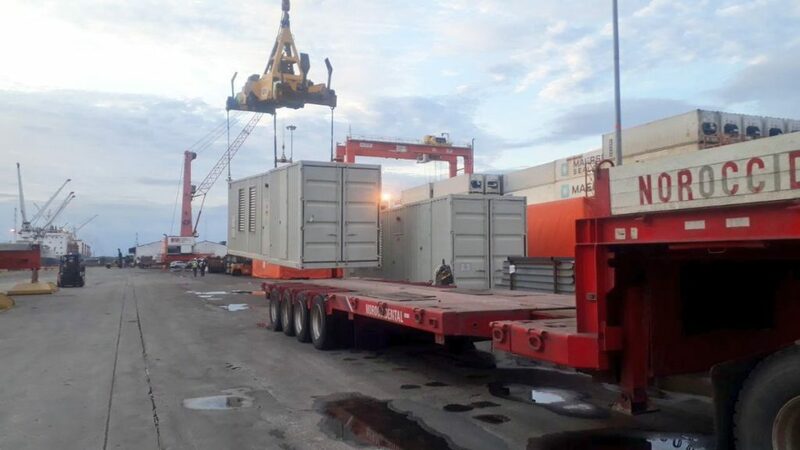 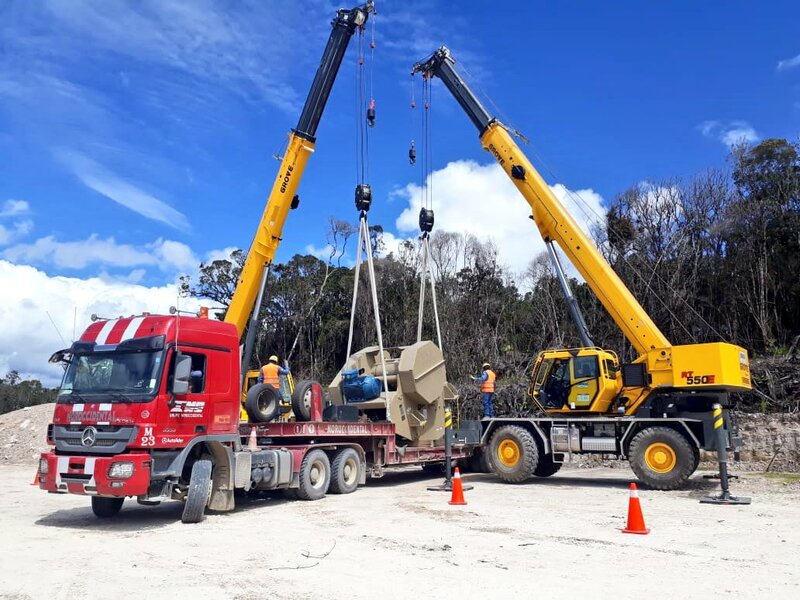 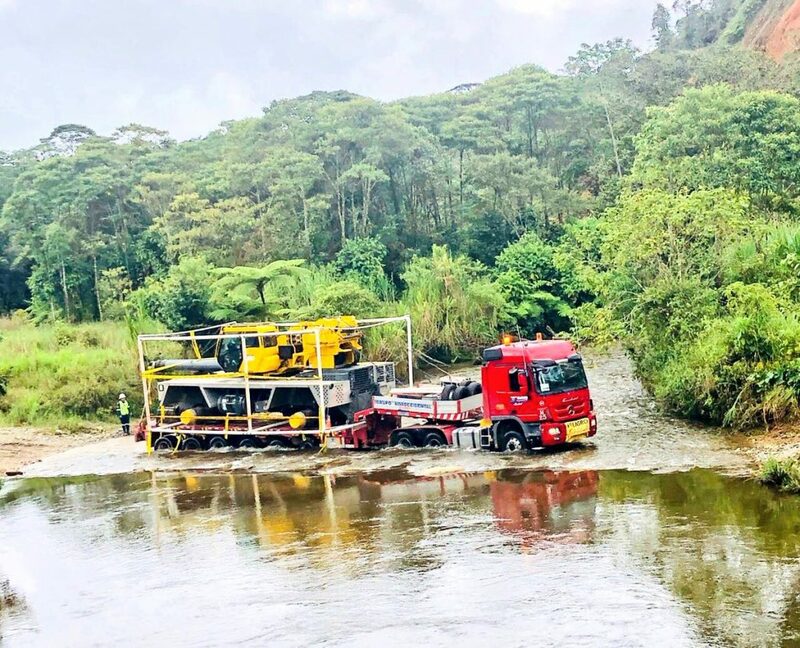 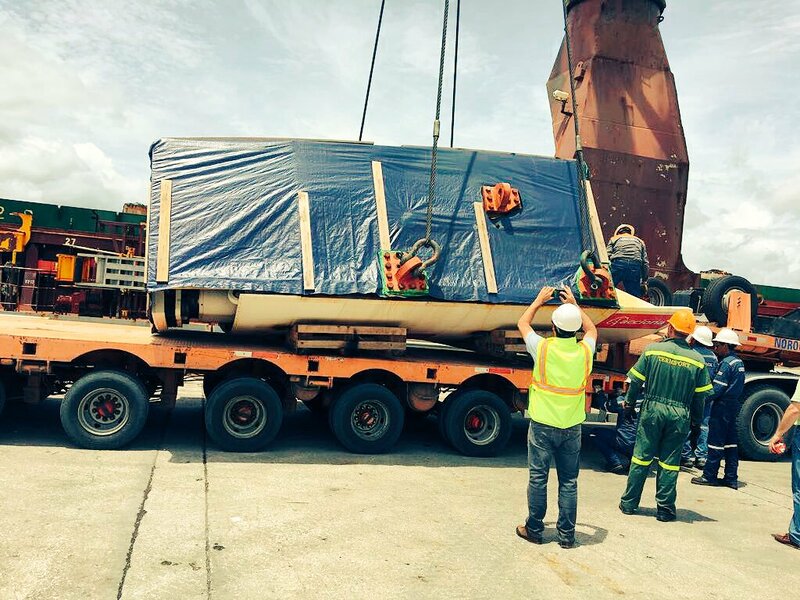 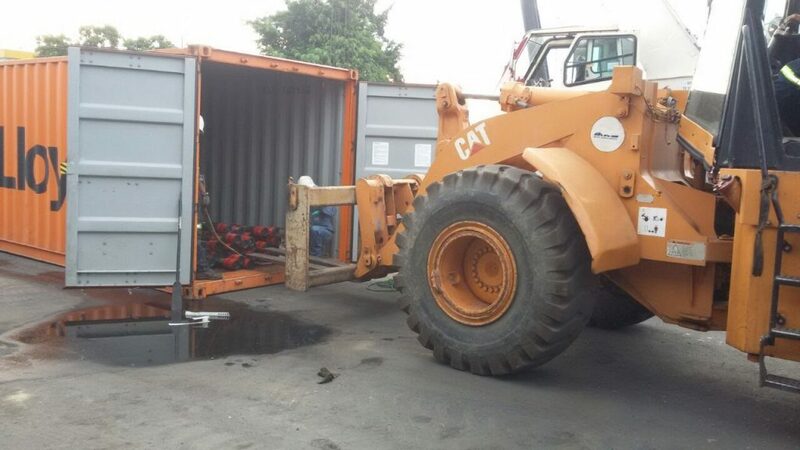 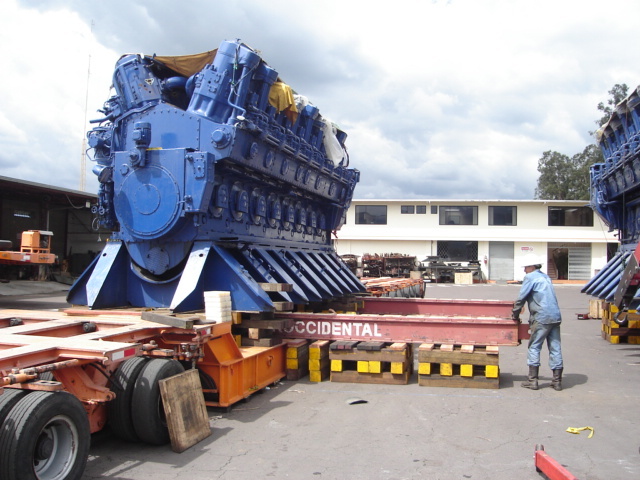 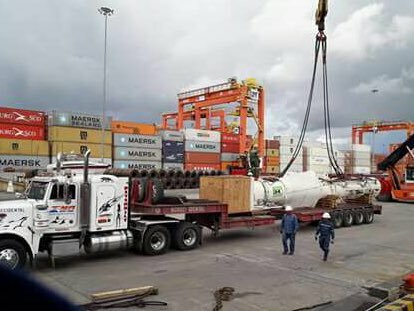 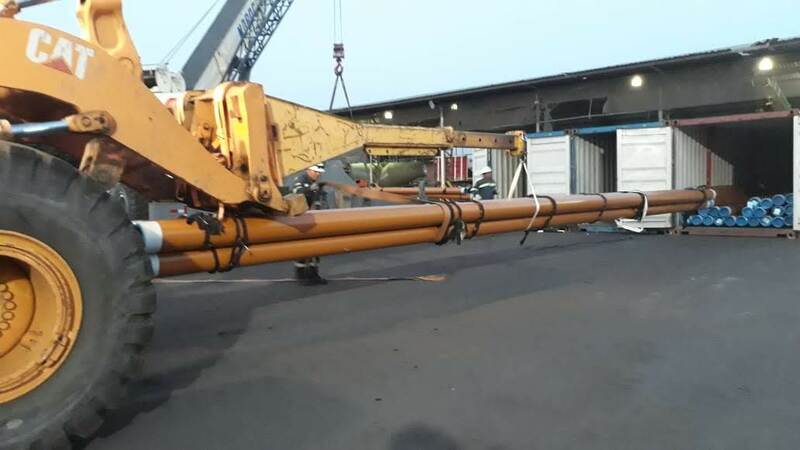 Noroccidental , the leading company in handling and transport of special cargoes , has been involved in mega projects, creating valid alternatives to mobilize and positioning large and heaviest weights equipment. 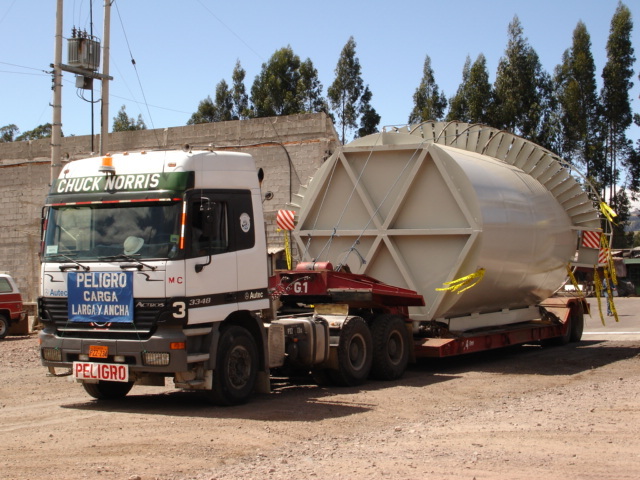 We specialize in transportation and special lift, international logistics and fluvial transport of large loads and volumes. 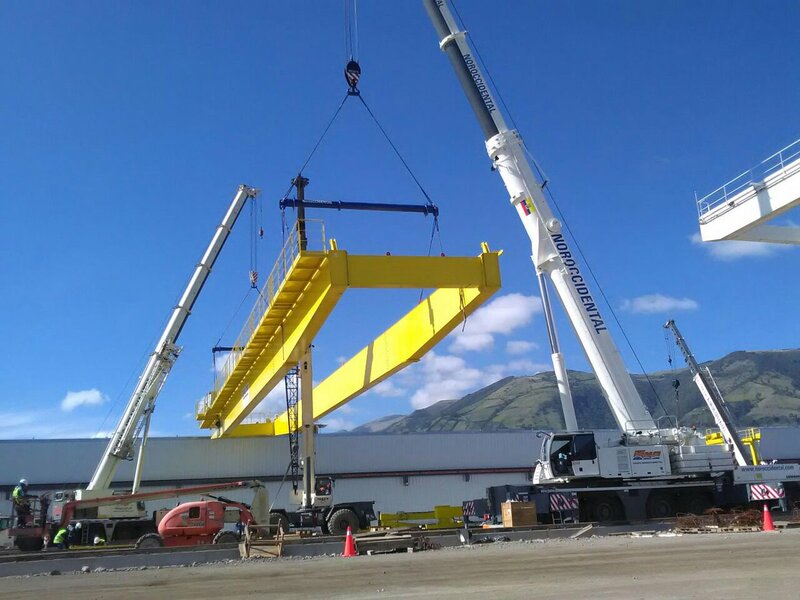 Our engineering department is responsible for project planning, technical studies and bridge reinforcement. 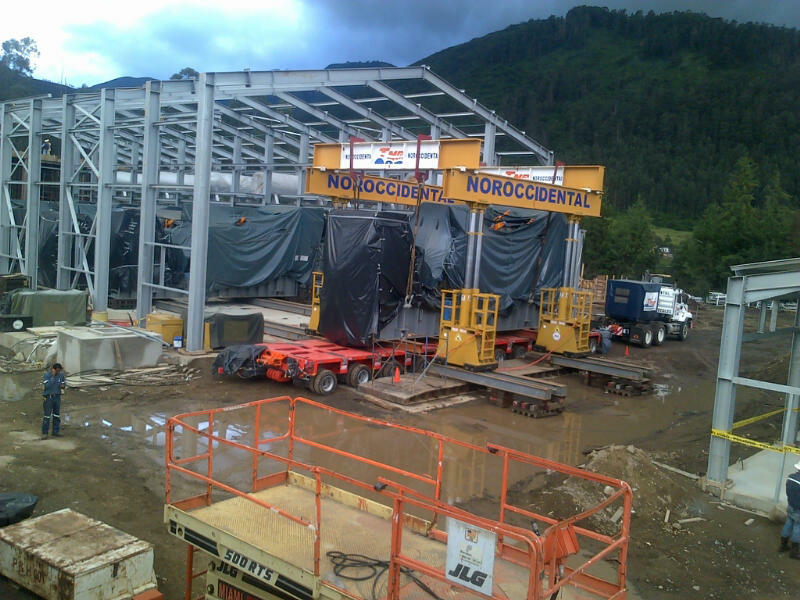 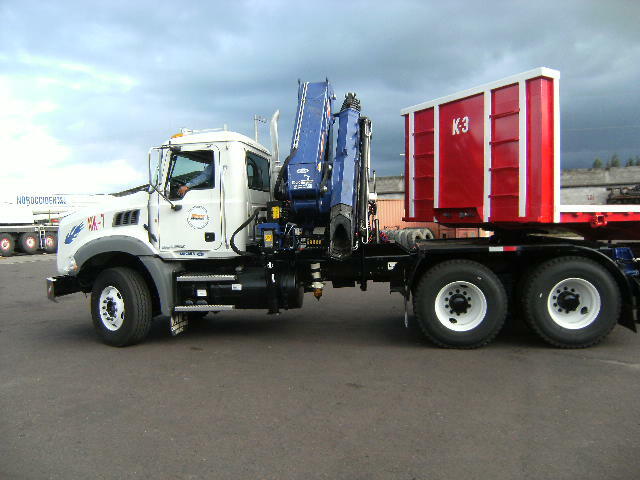 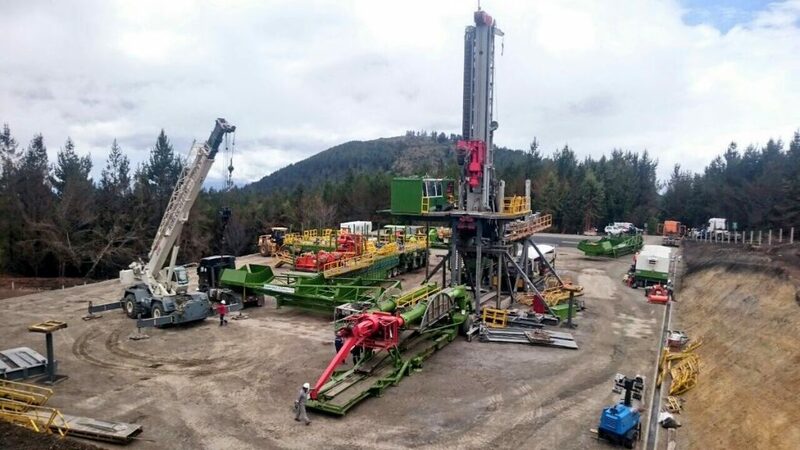 Modular Hydraulic with several options of configurations up to 1,600 tons. 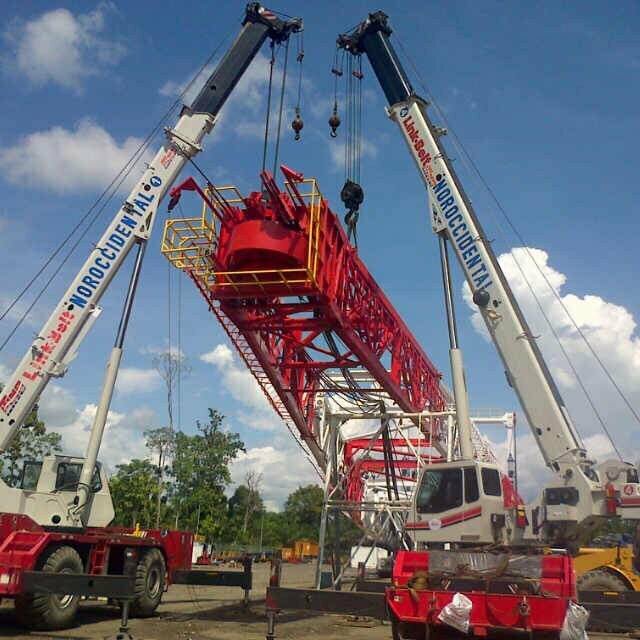 Telescopic cranes from 30 to 550 ton. 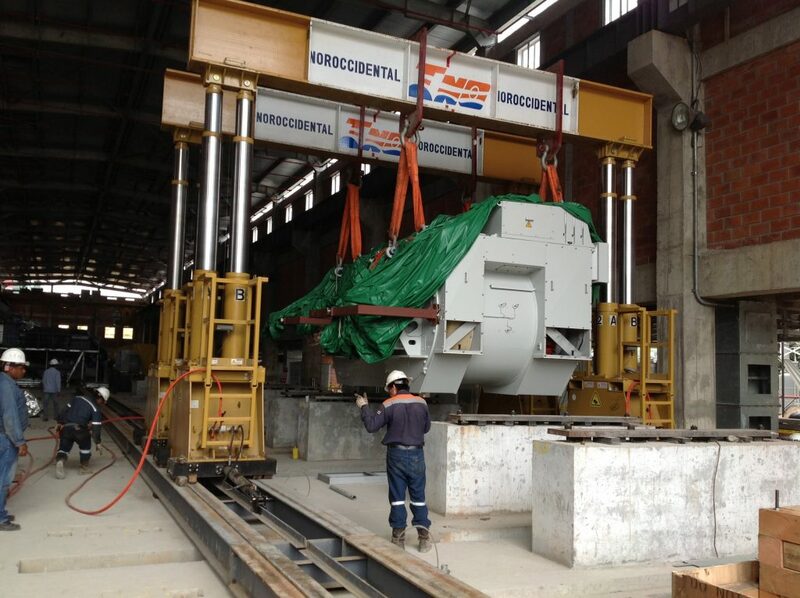 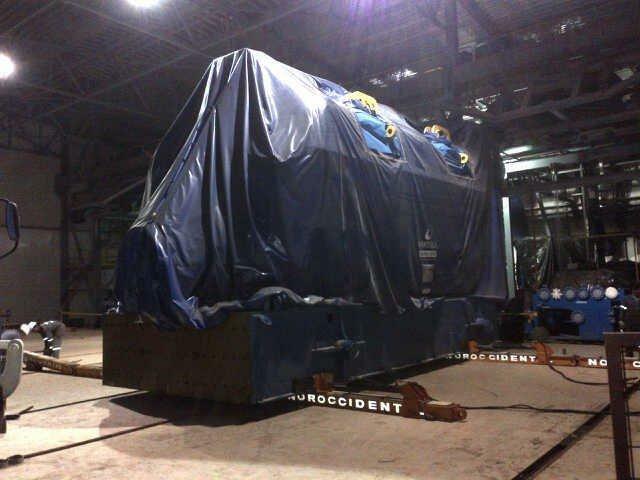 Hydraulic displacement systems & gantry gantry cranes up to 800 ton. 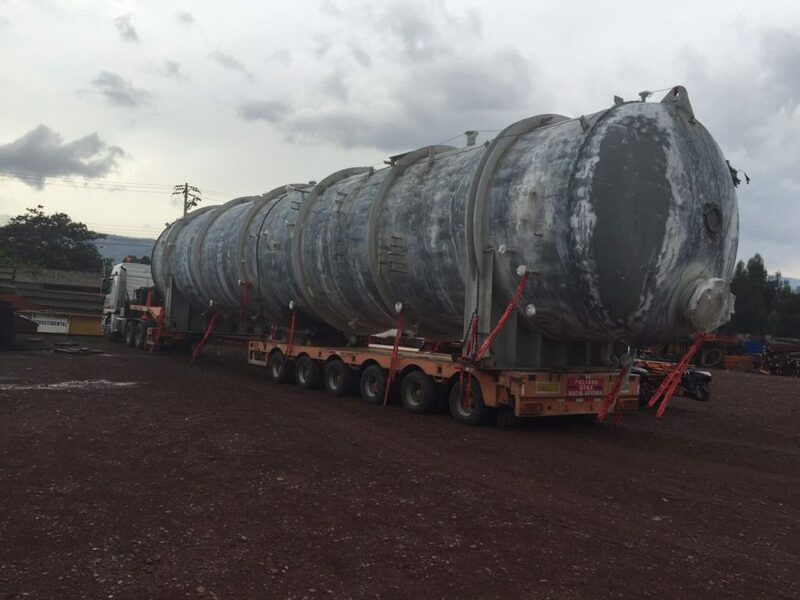 Vacuums and super vacuums from 80 to 230 barrels. 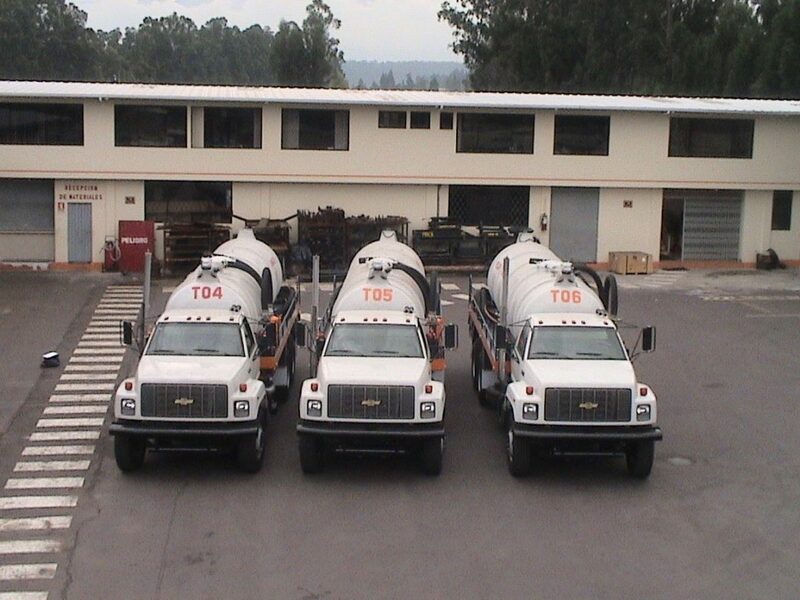 Tanks up to 30 tons of cement. 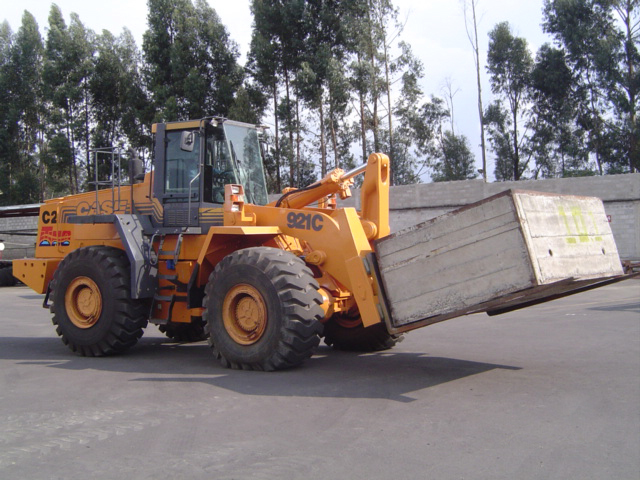 Front loaders from 4 to 15 ton. 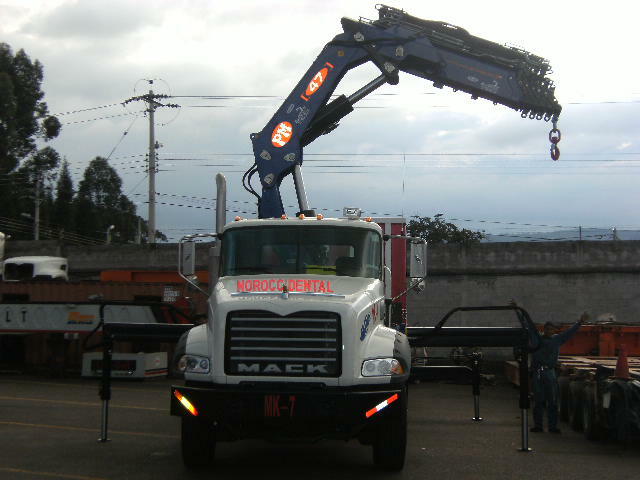 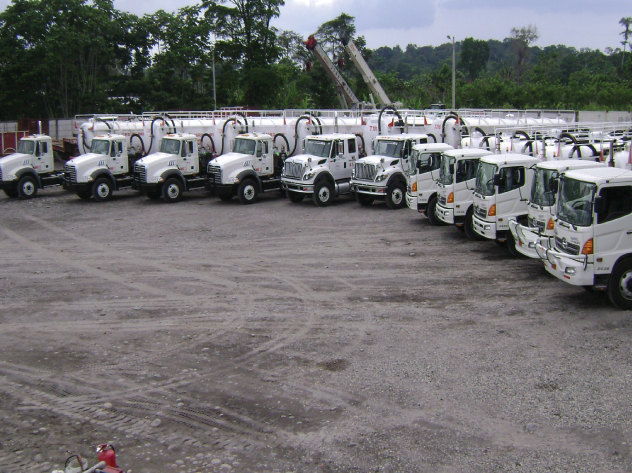 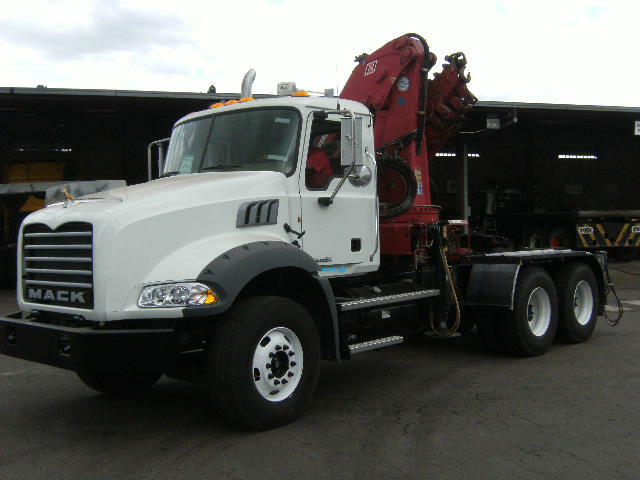 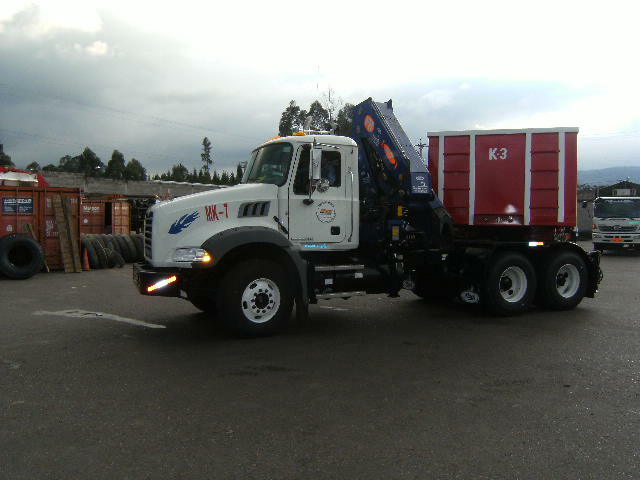 Pickers and hydrogruas up to 40 ton. 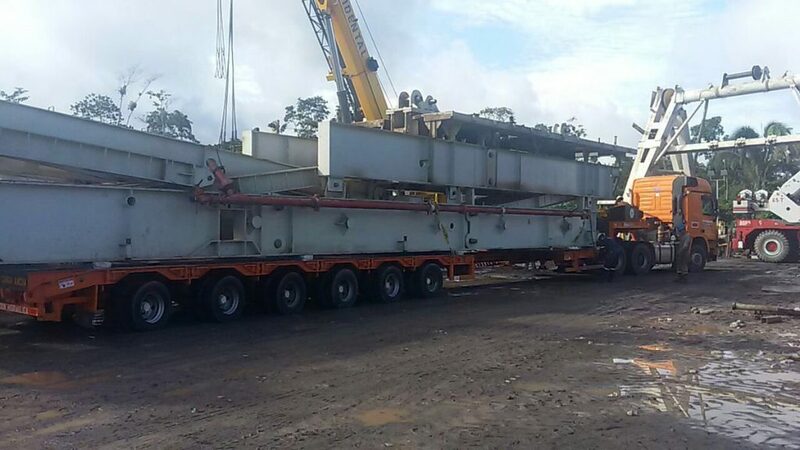 Platforms high bed and low bed of 2, 3 and 4 axes. 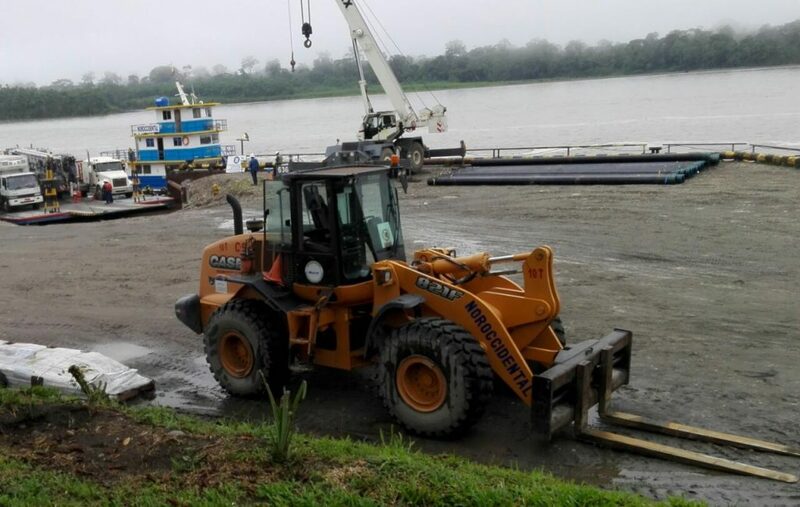 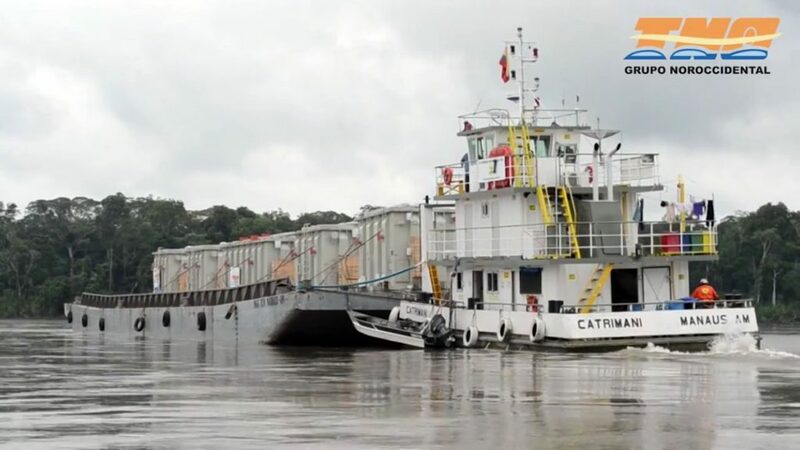 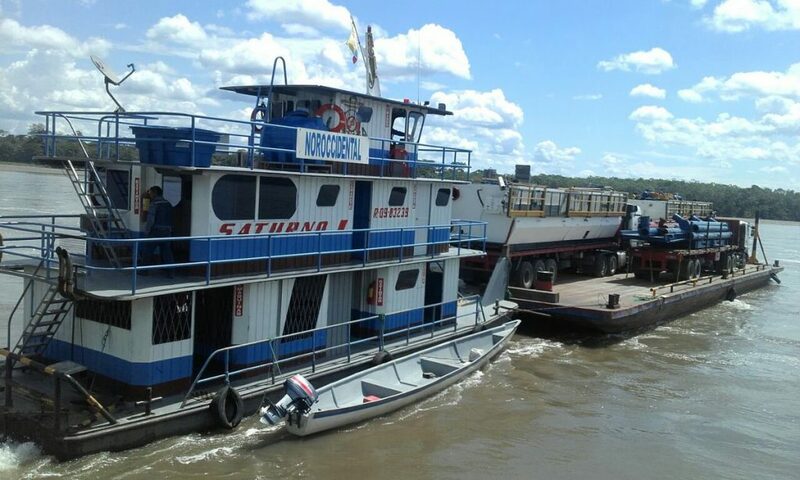 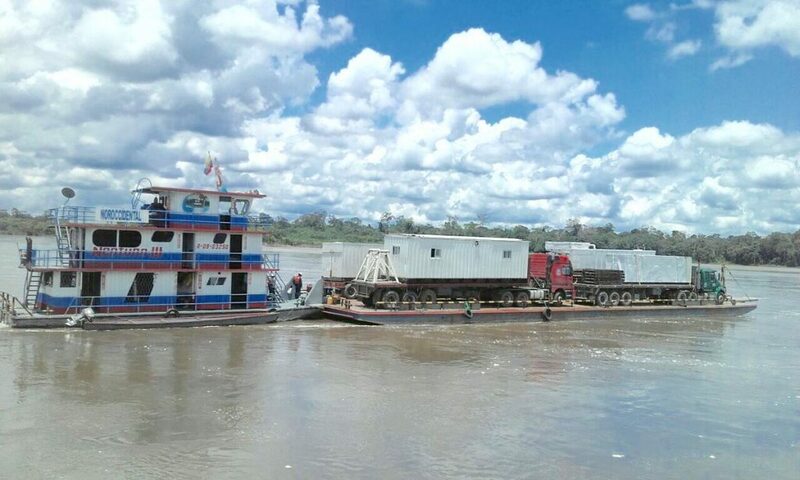 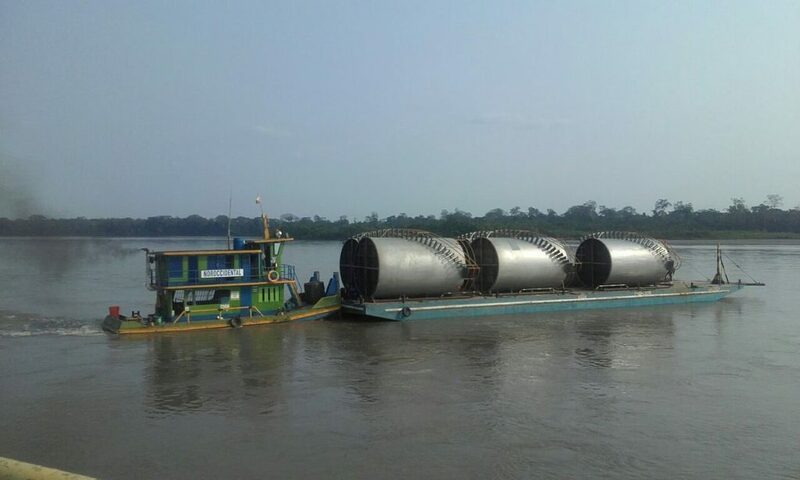 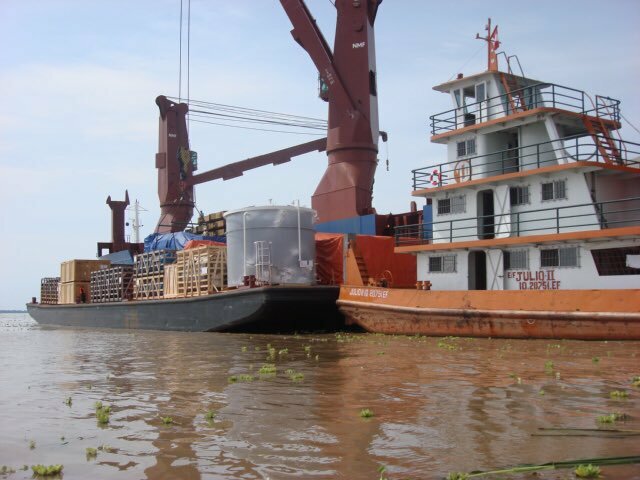 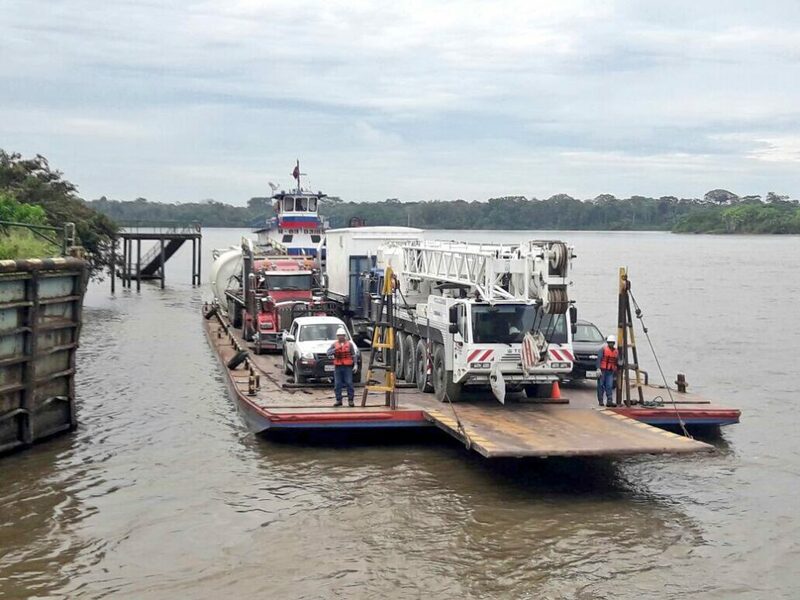 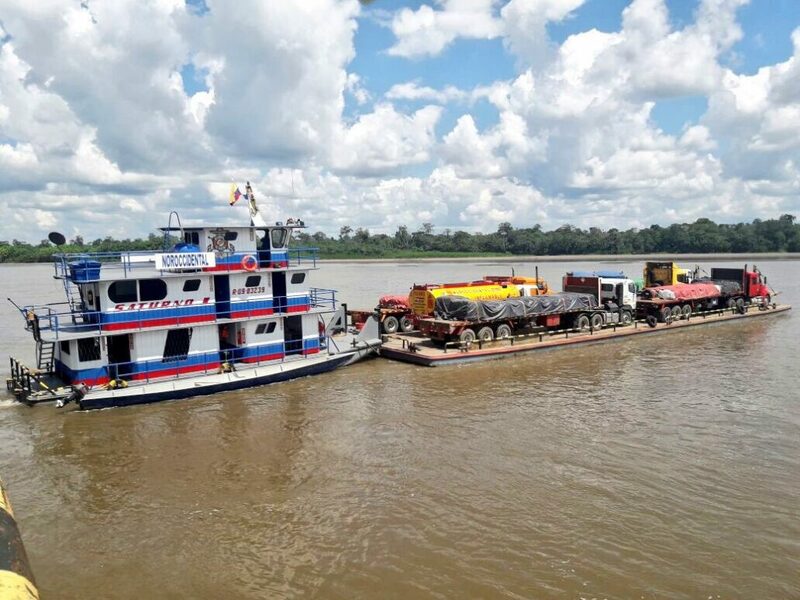 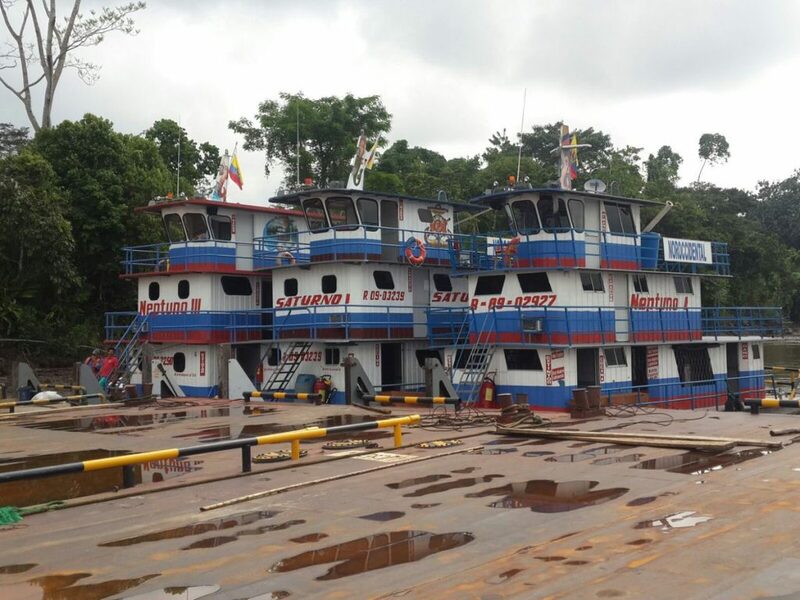 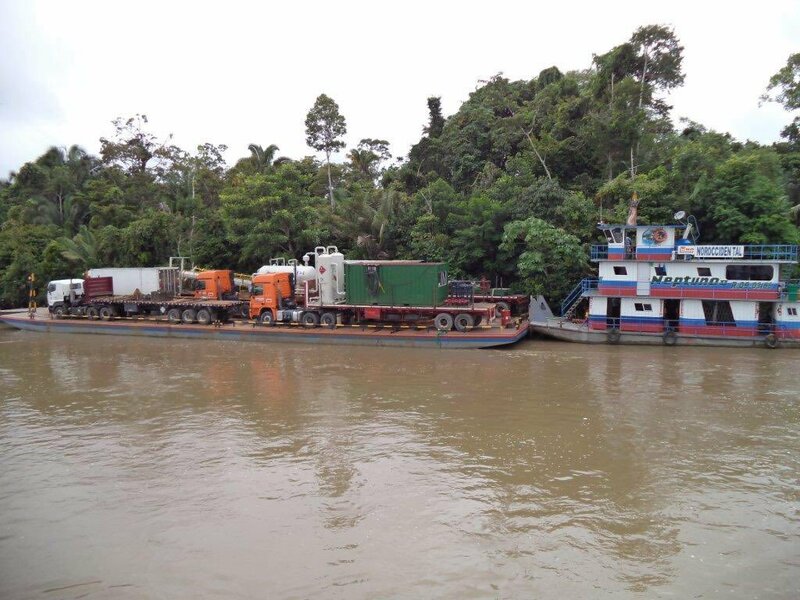 Fluvial transport, barges of 400 and 600 Ton and boats of 20 pax. 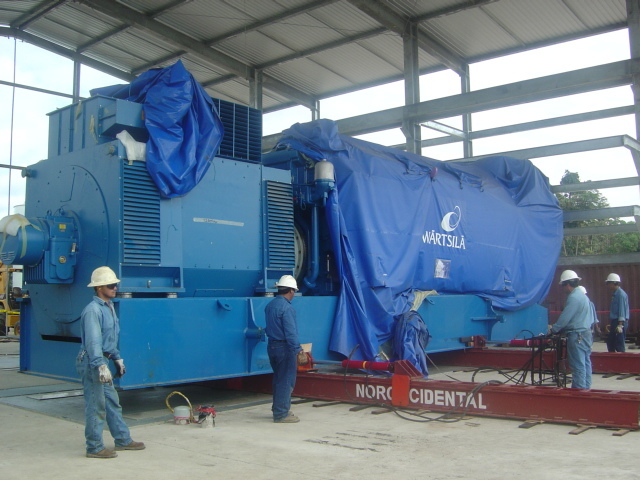 Oil winches of 60,000 and 100,000 pounds. 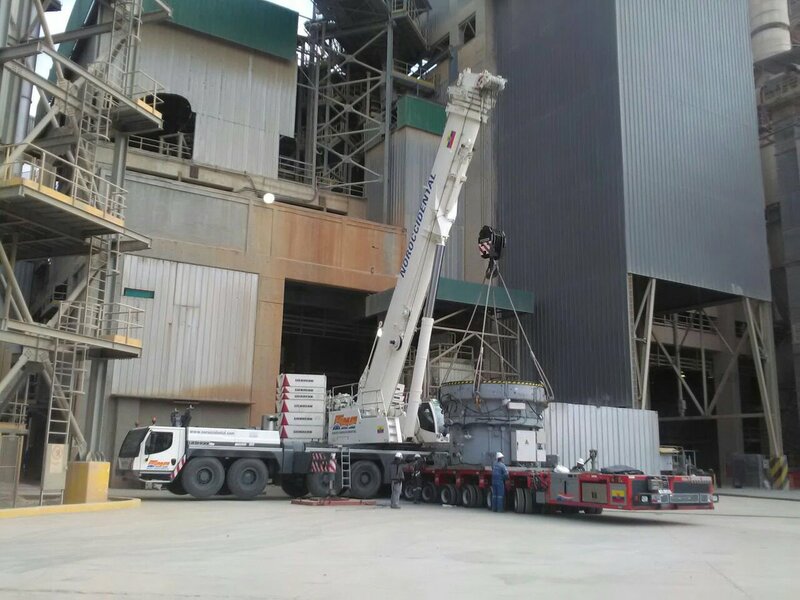 Extendable platforms from 40 to 150 tons. 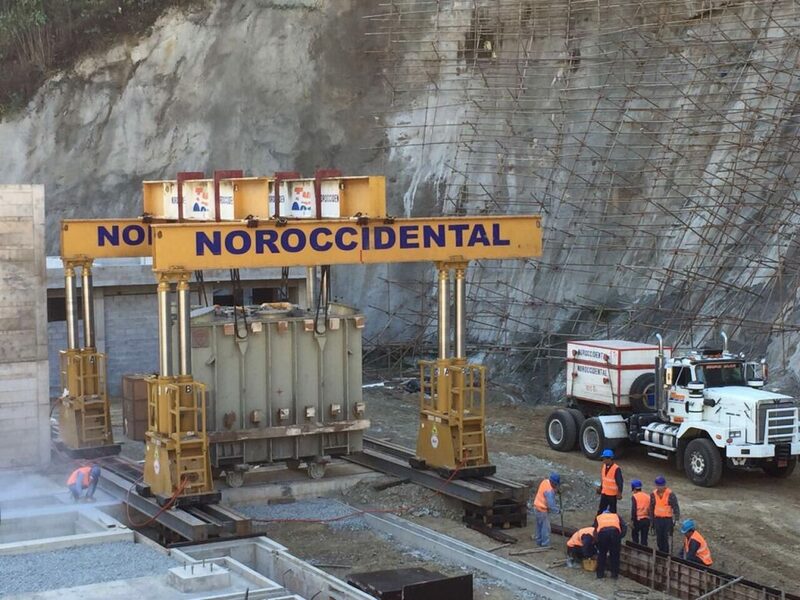 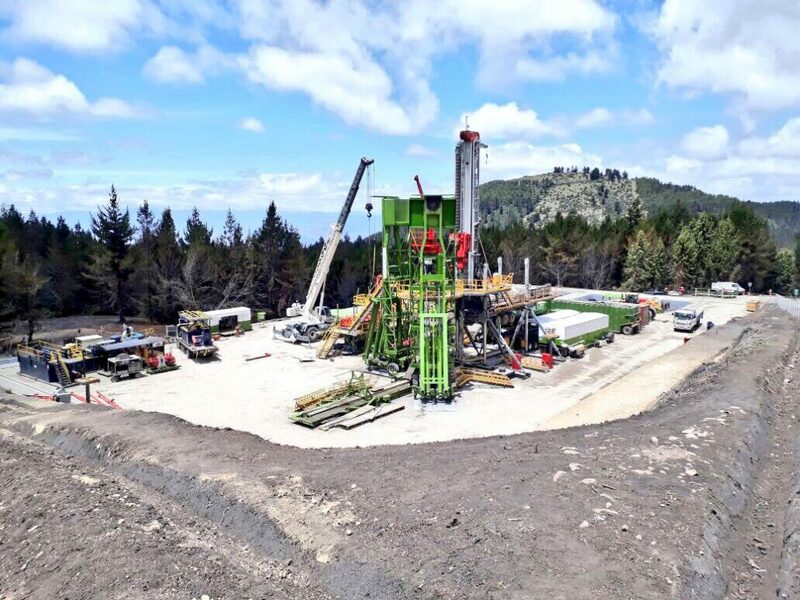 NOROCCIDENTAL has successfully participated in several projects. 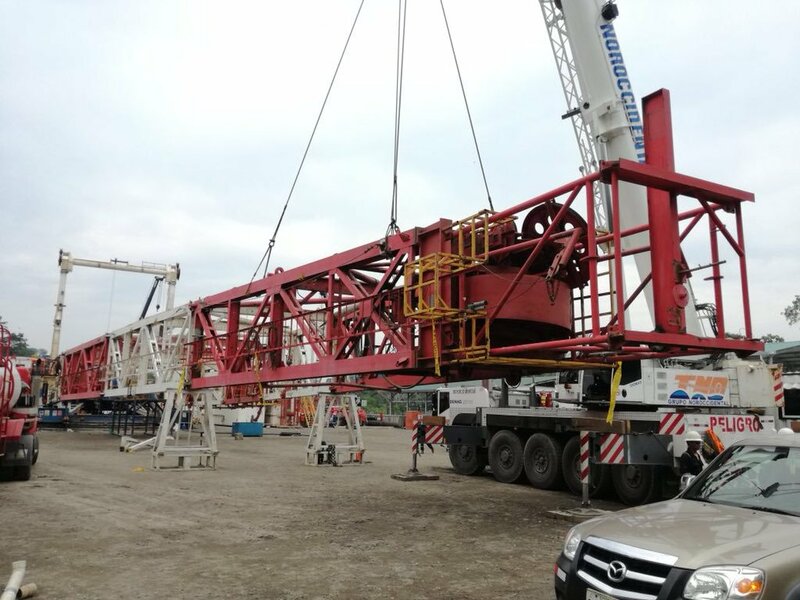 Industrial equipment mobilization width 6.8 mts. 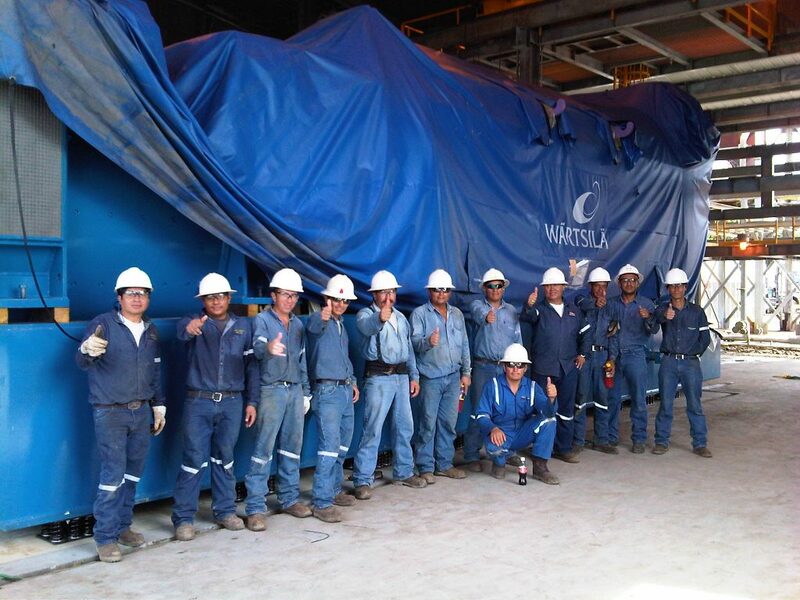 Special recognition and congratulations to our specialized engineering team. 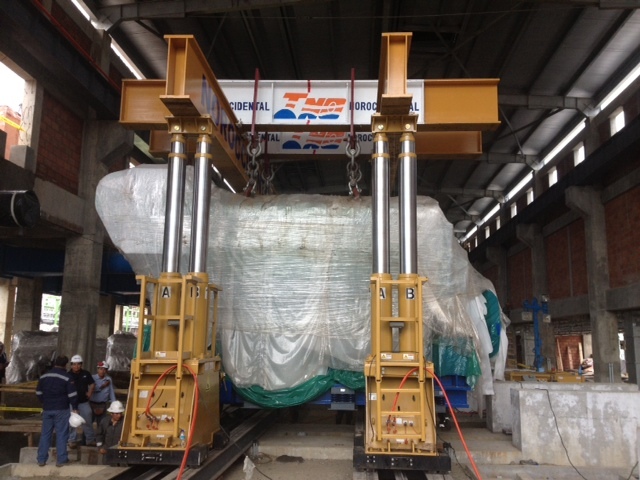 Local record of lifting and transportation. 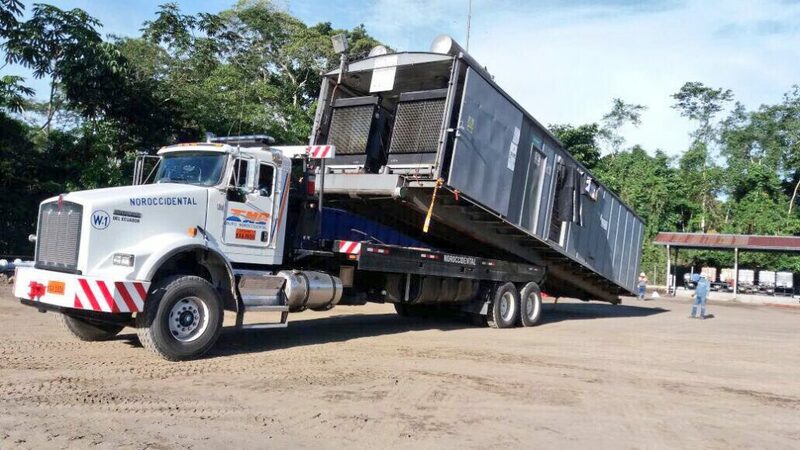 Tunnel La Carolina has done its job.